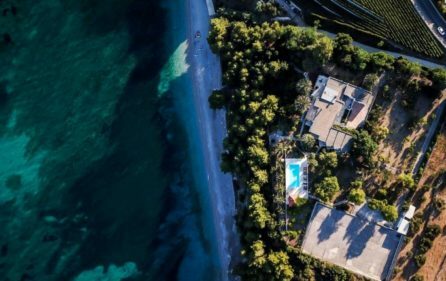 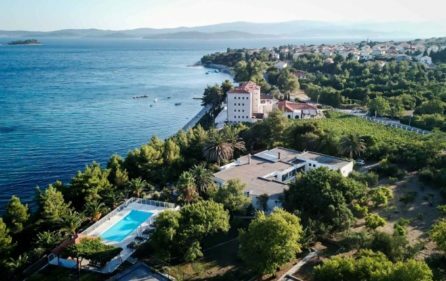 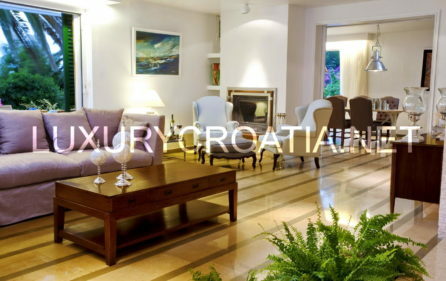 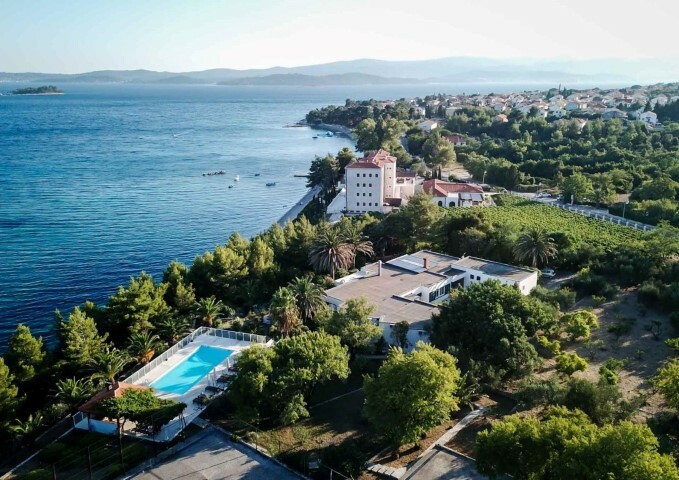 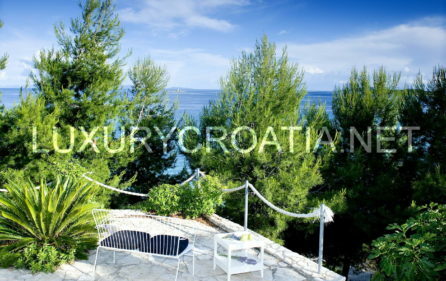 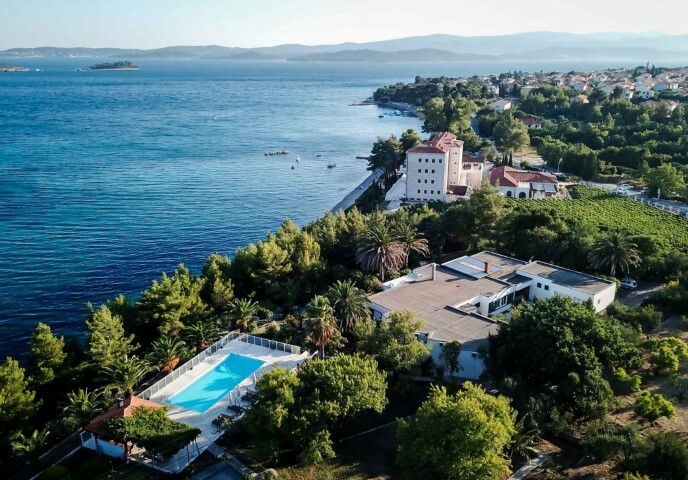 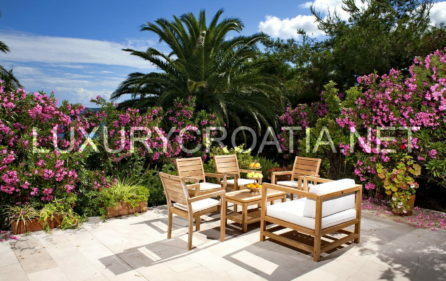 RENT: Gorgeous waterfront luxury villa in Orebic. 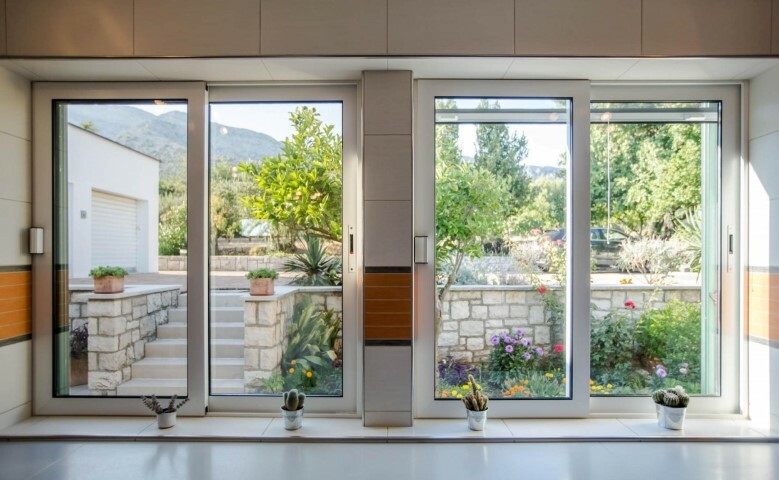 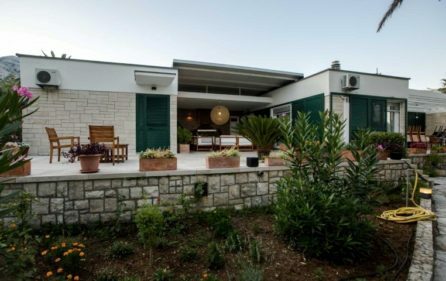 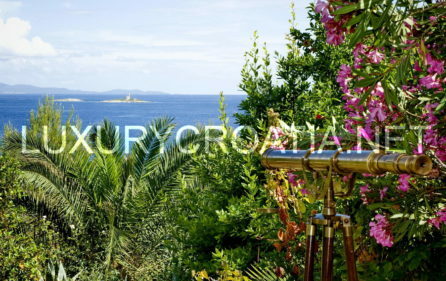 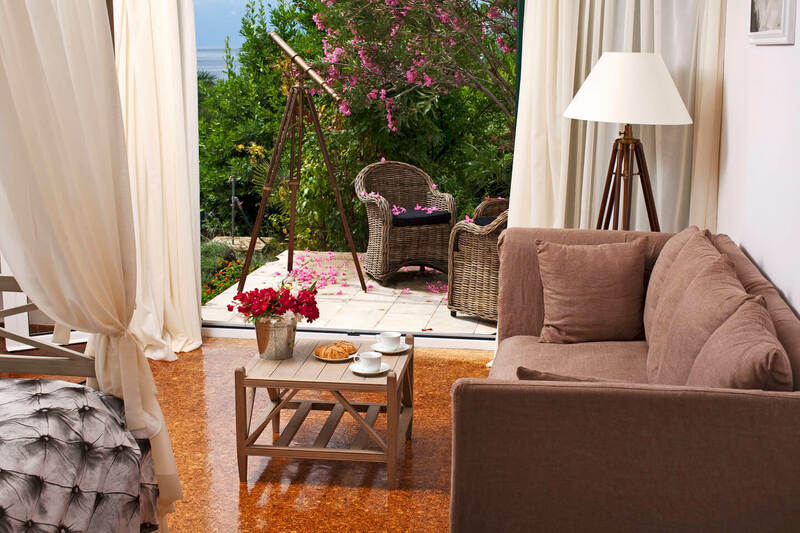 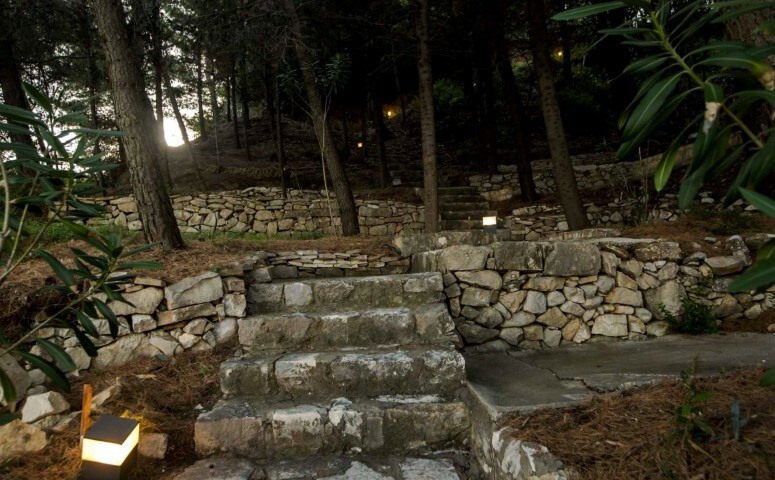 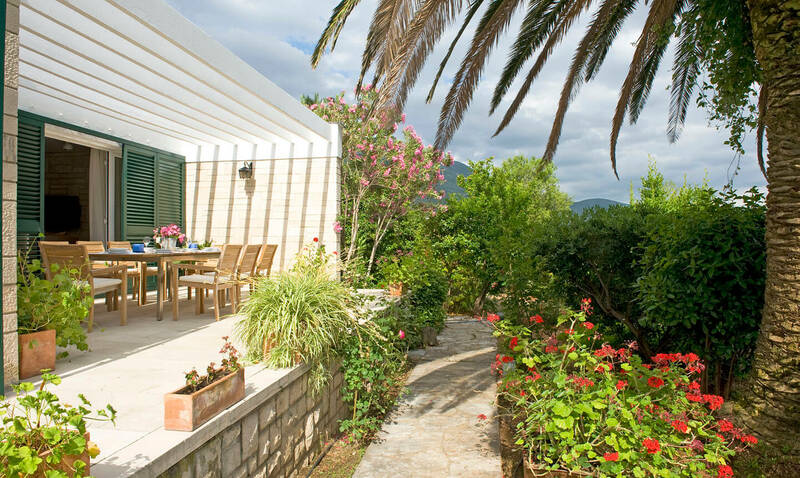 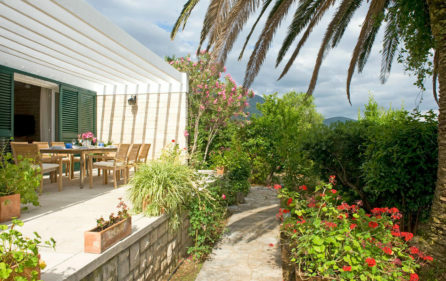 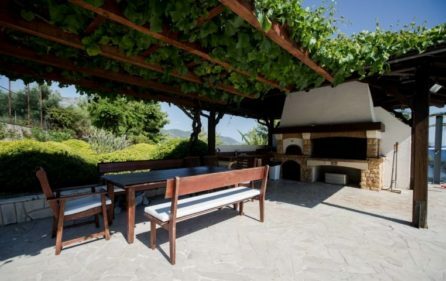 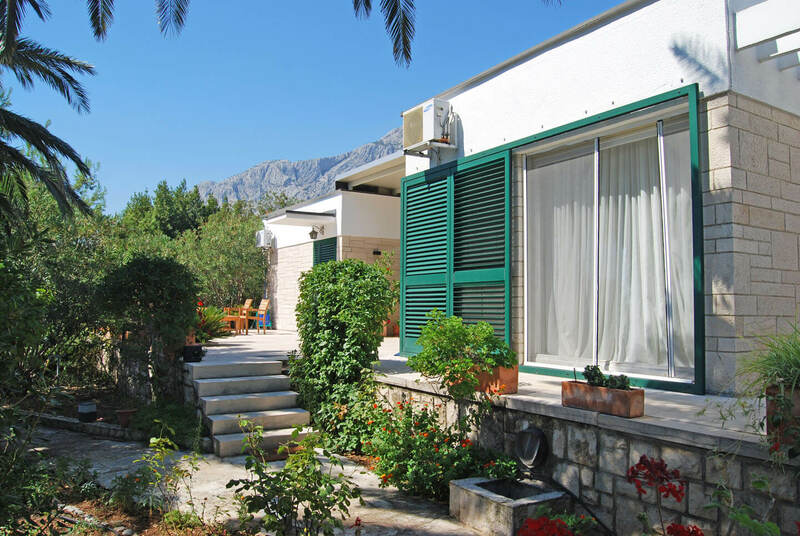 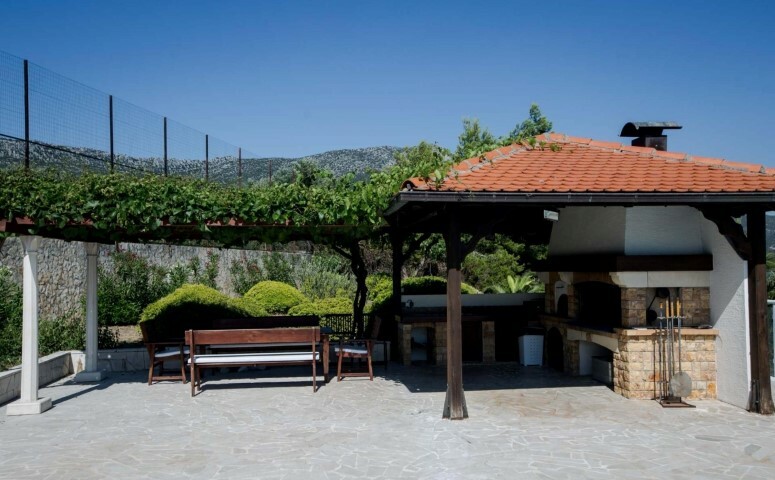 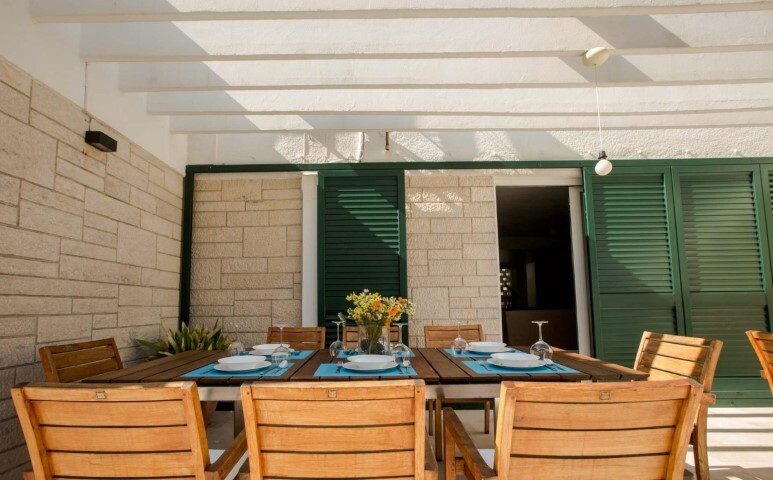 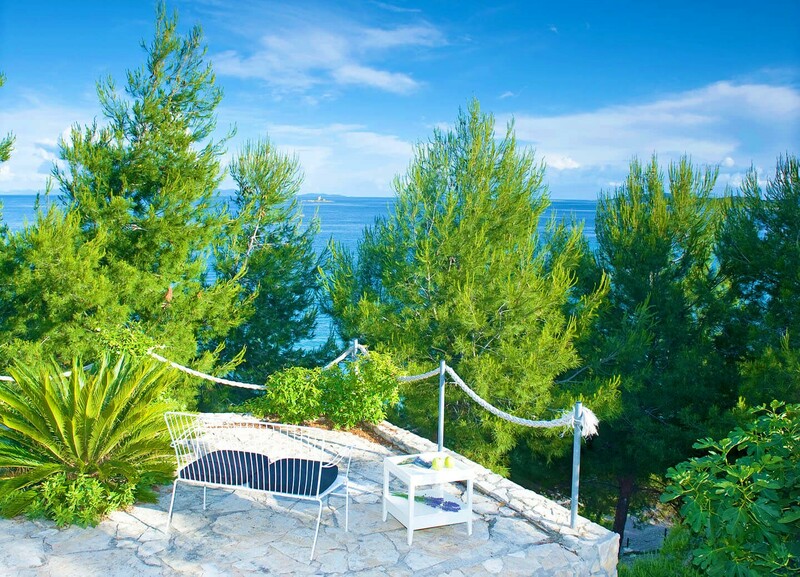 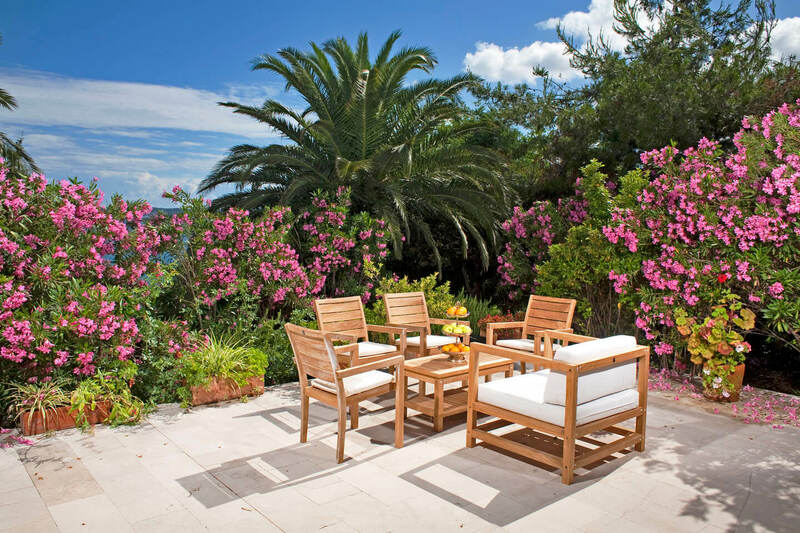 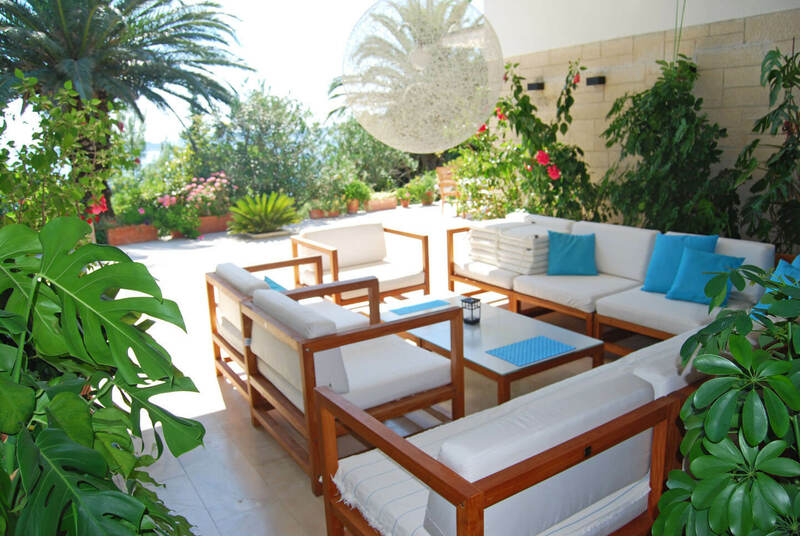 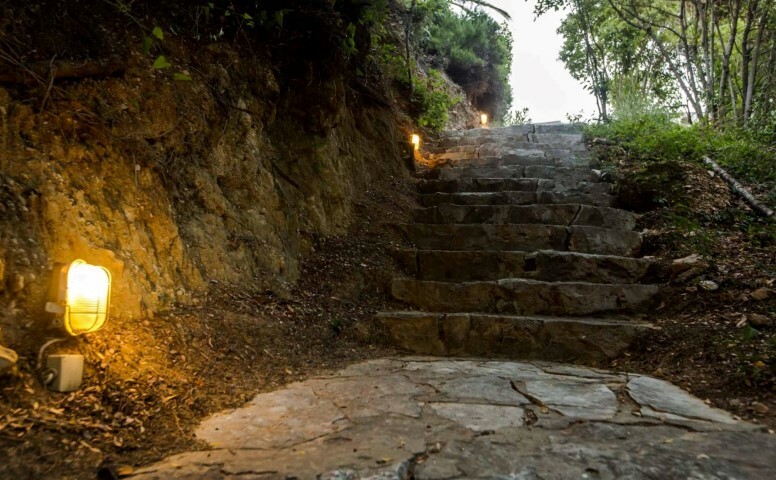 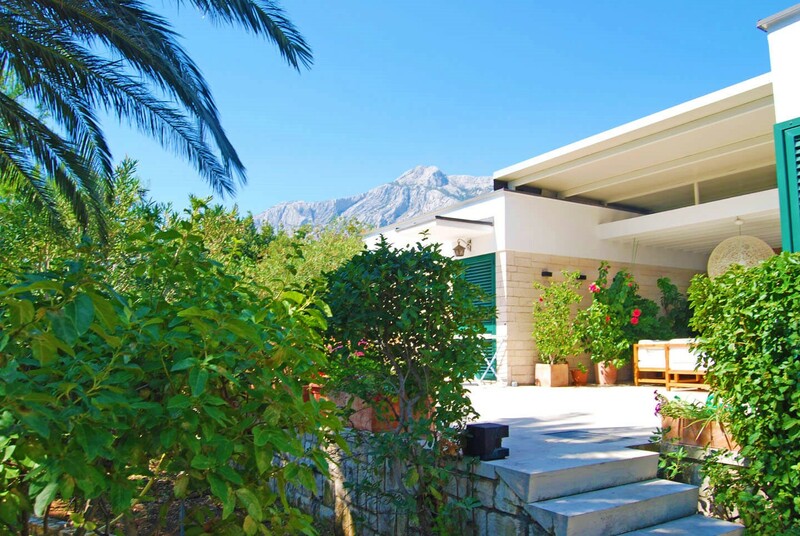 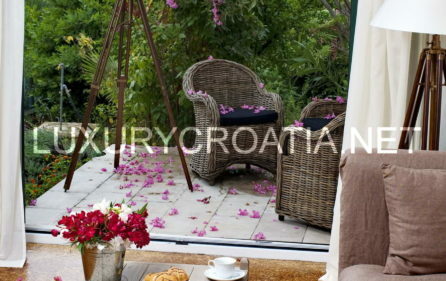 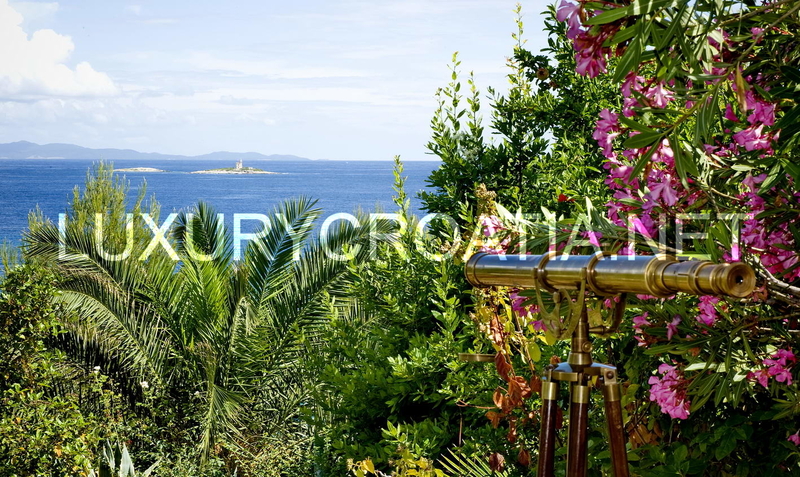 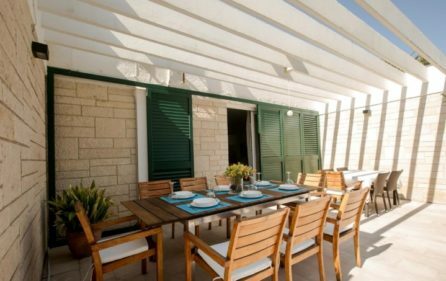 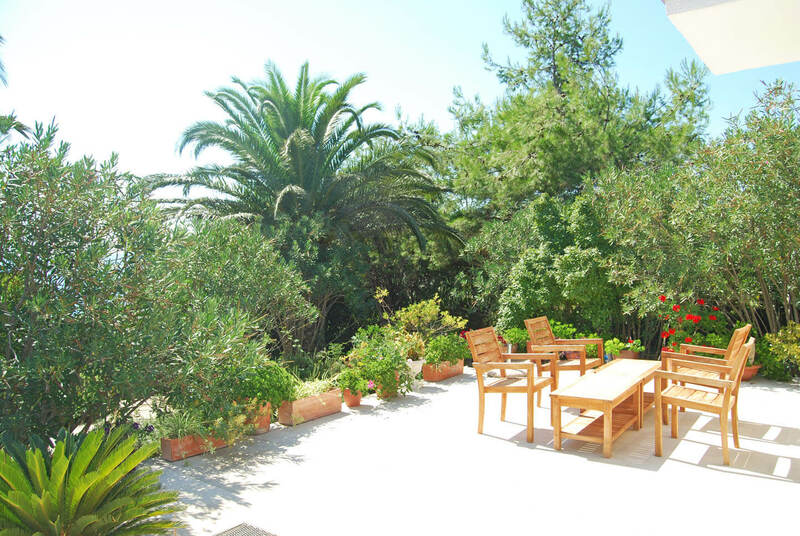 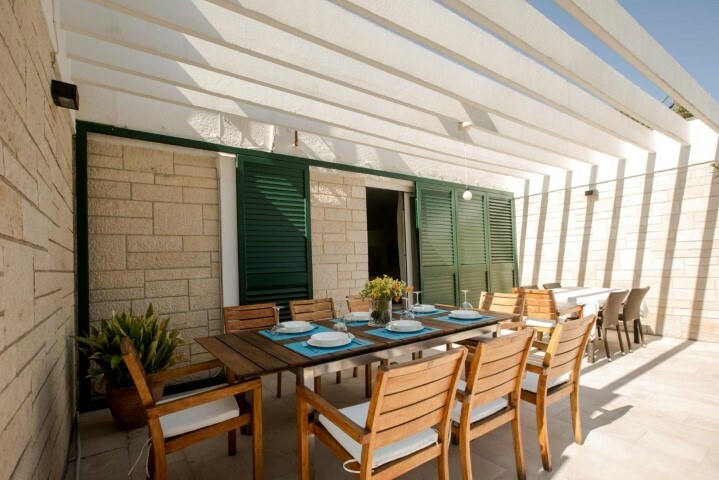 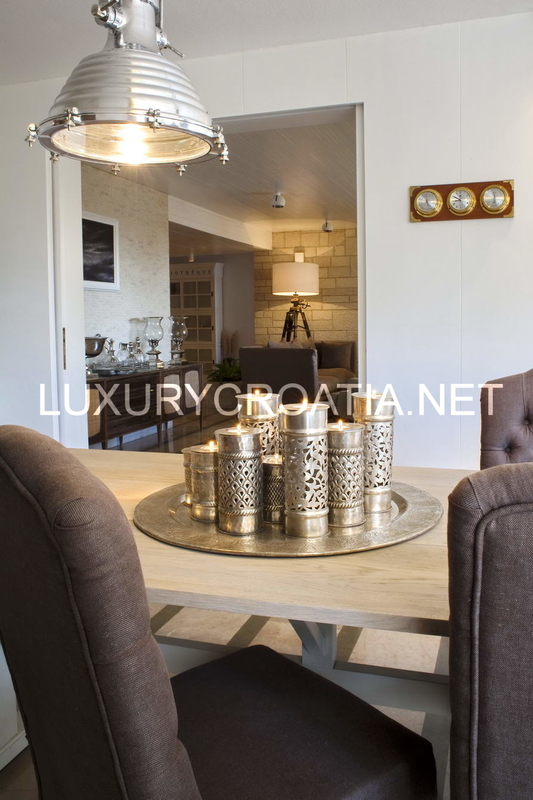 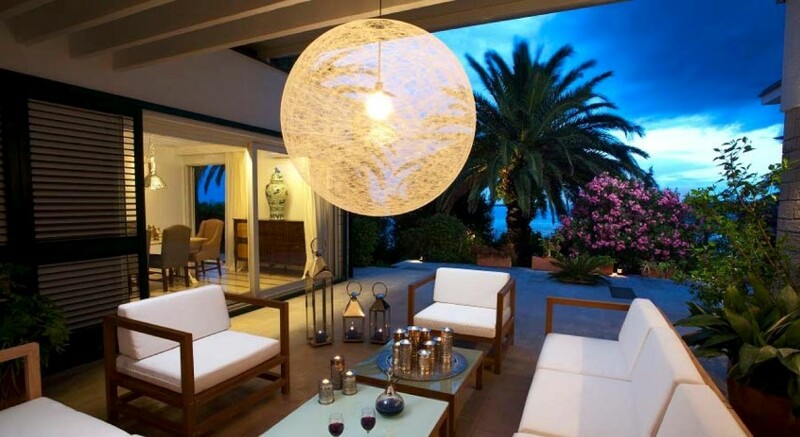 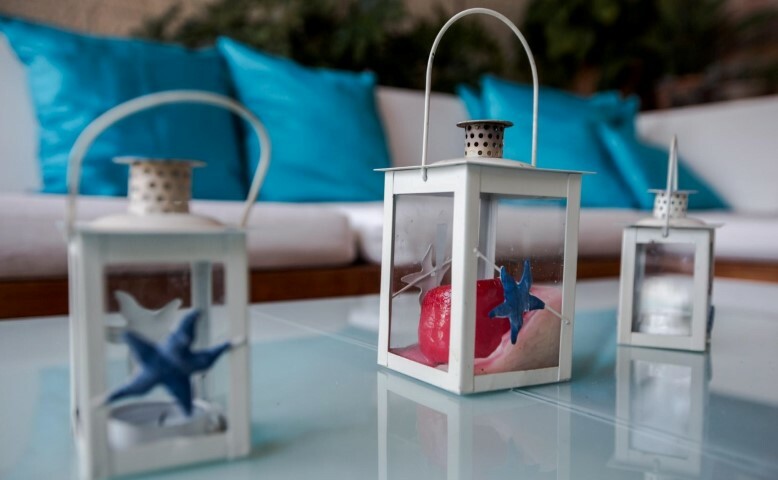 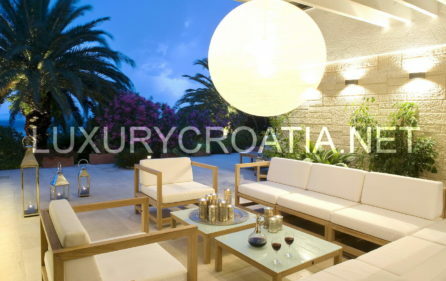 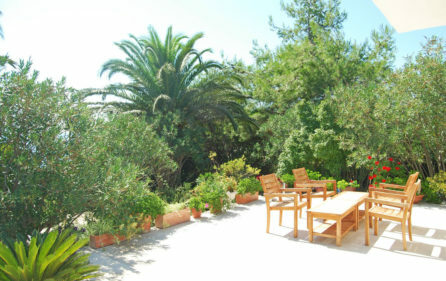 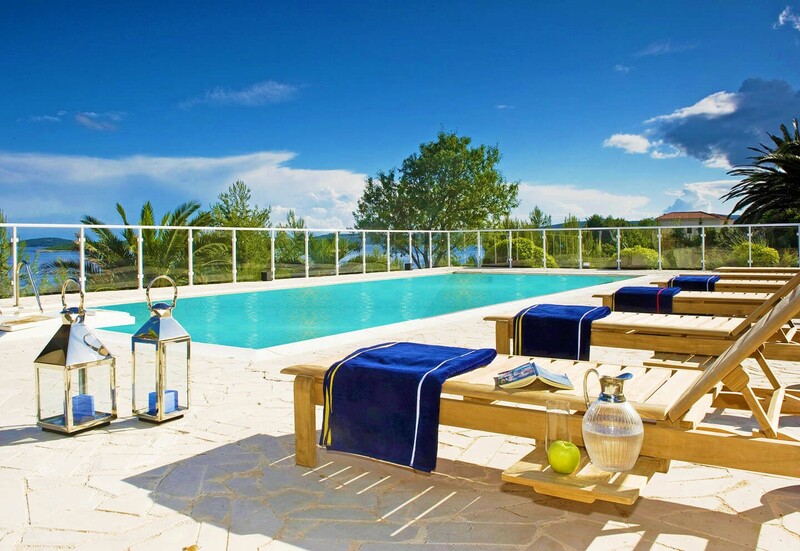 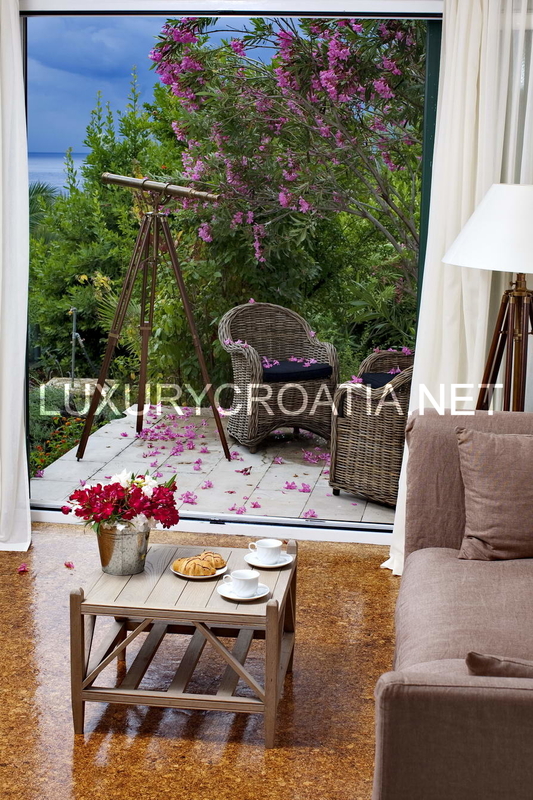 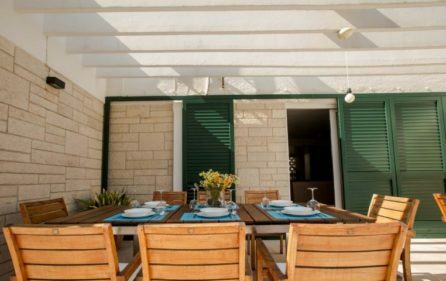 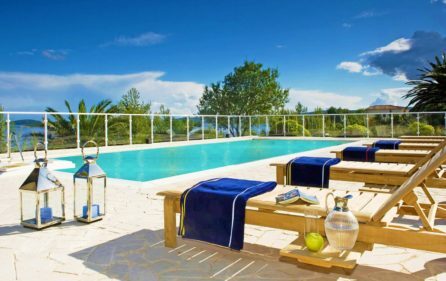 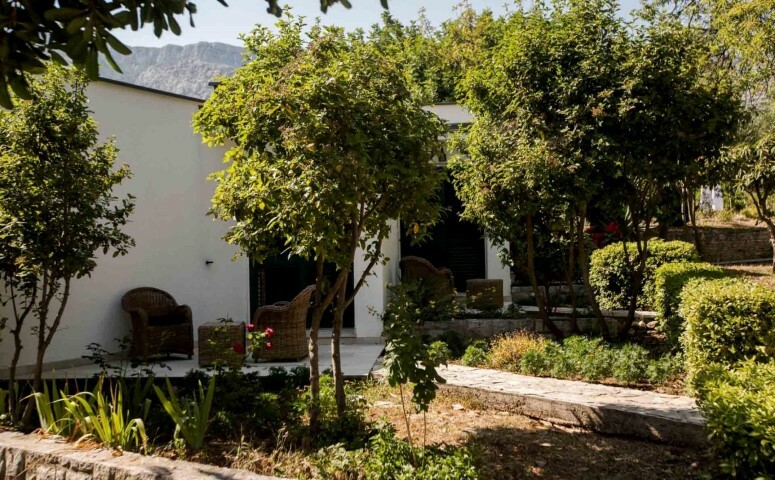 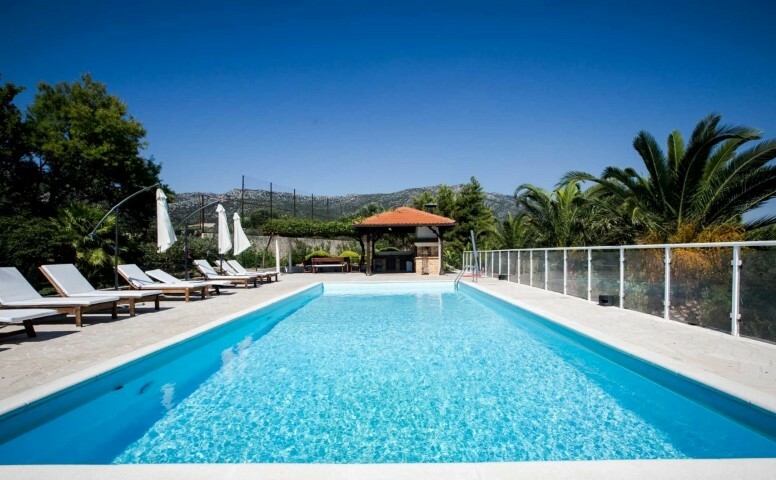 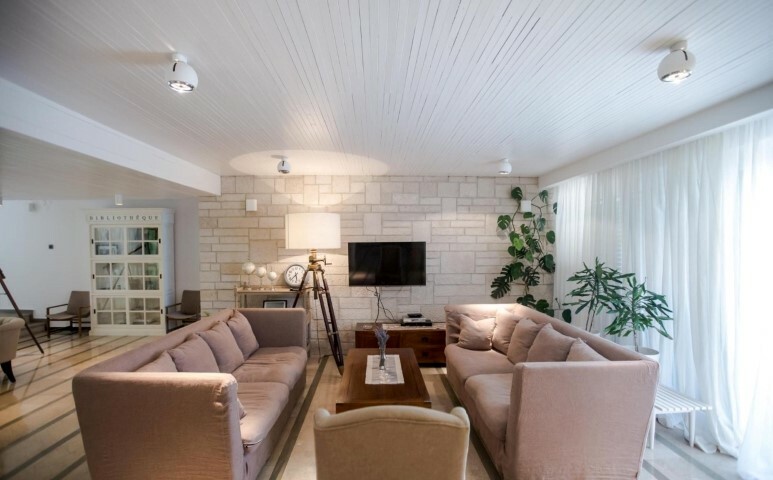 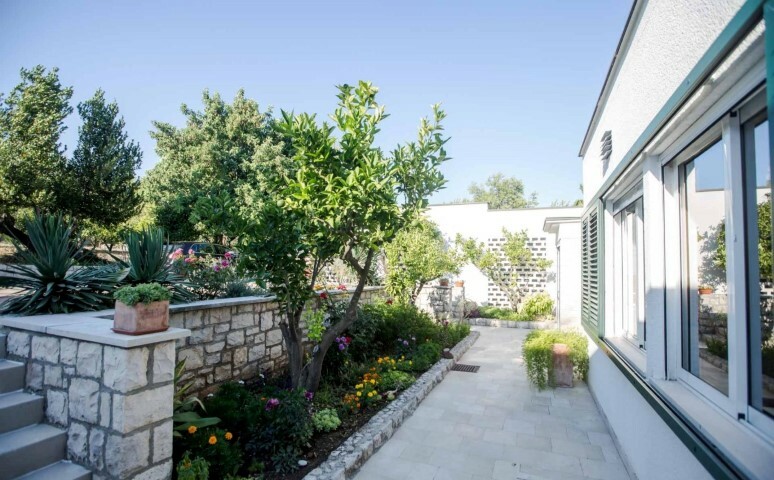 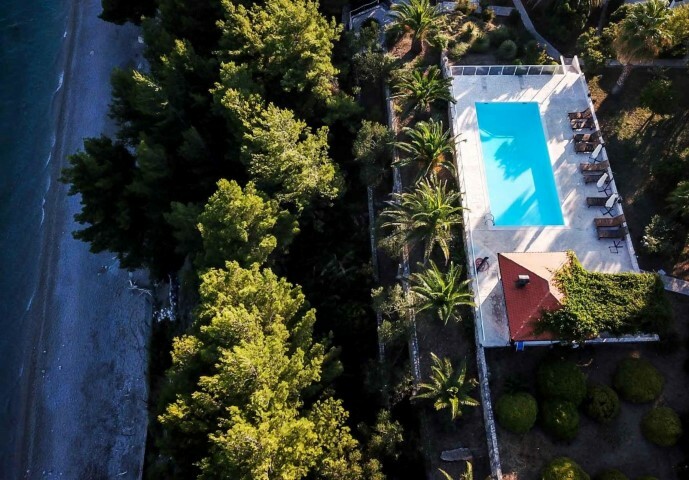 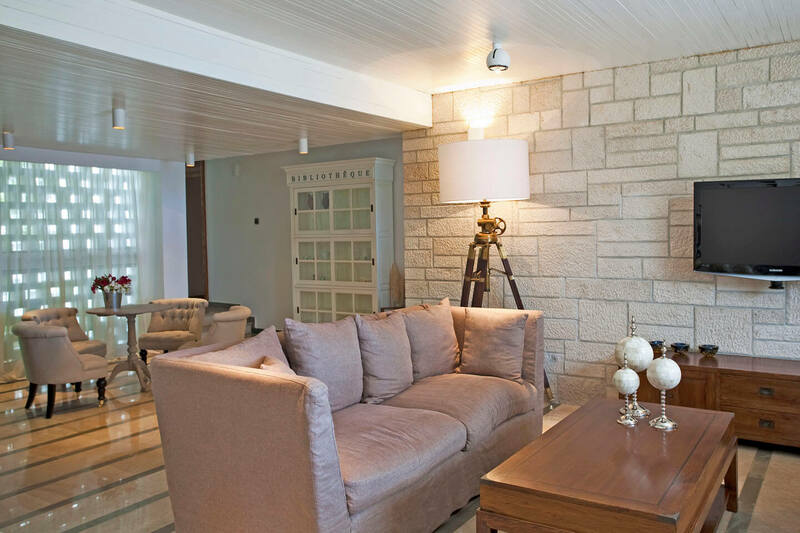 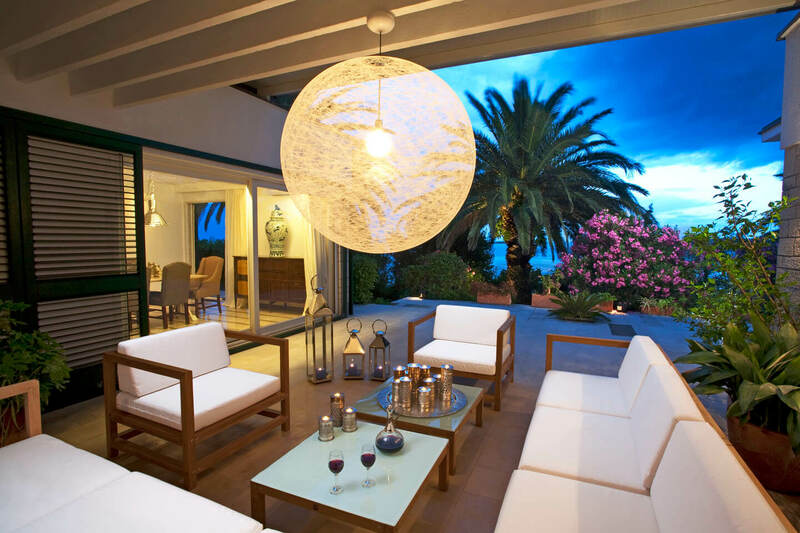 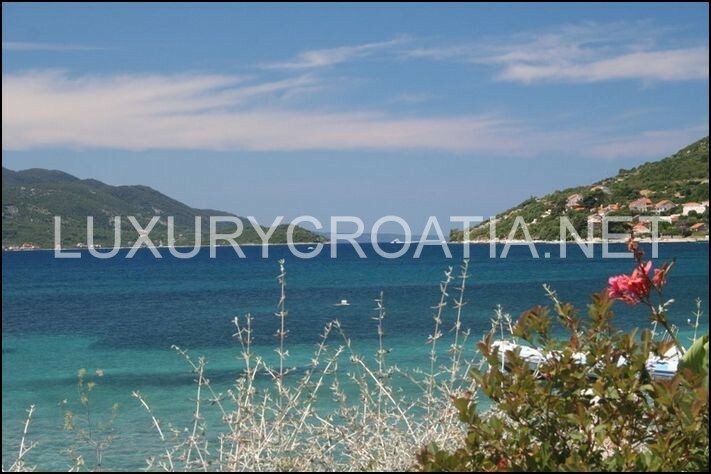 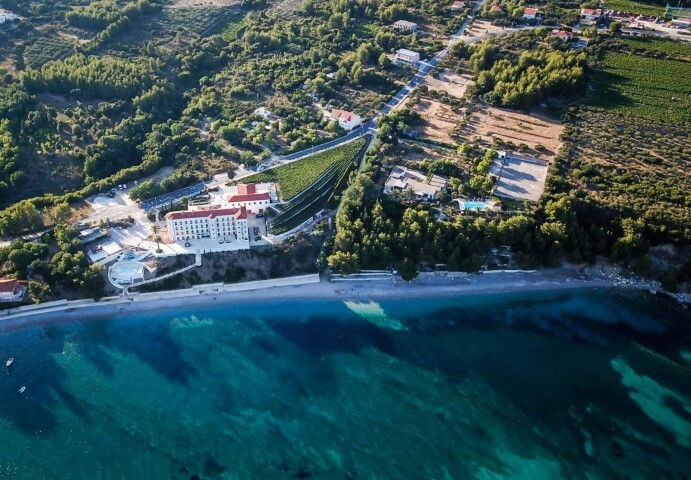 This villa is located on the entrance of the charming town of Orebic on Peljesac peninsula. 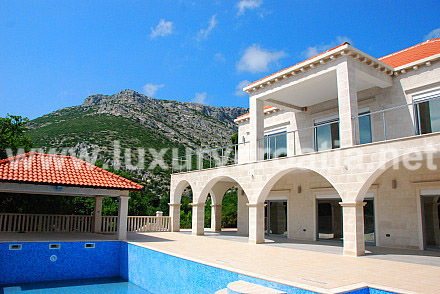 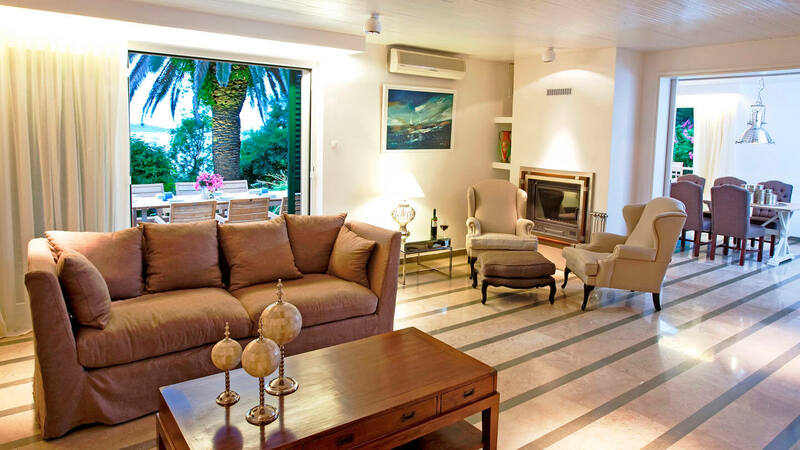 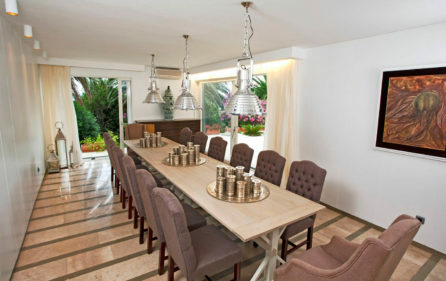 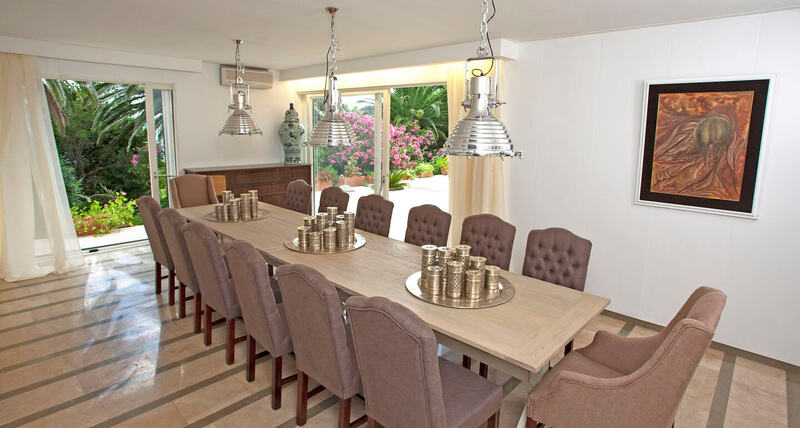 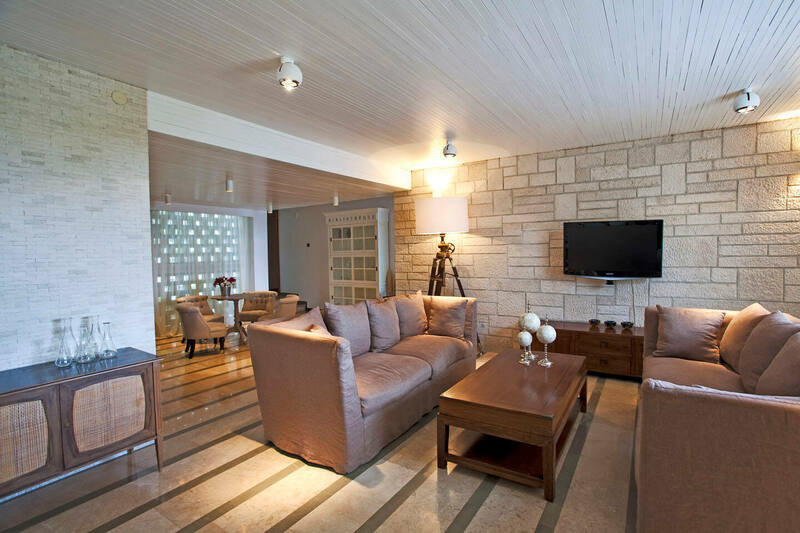 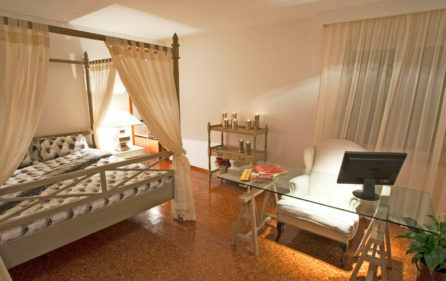 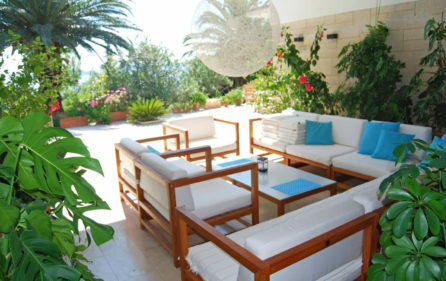 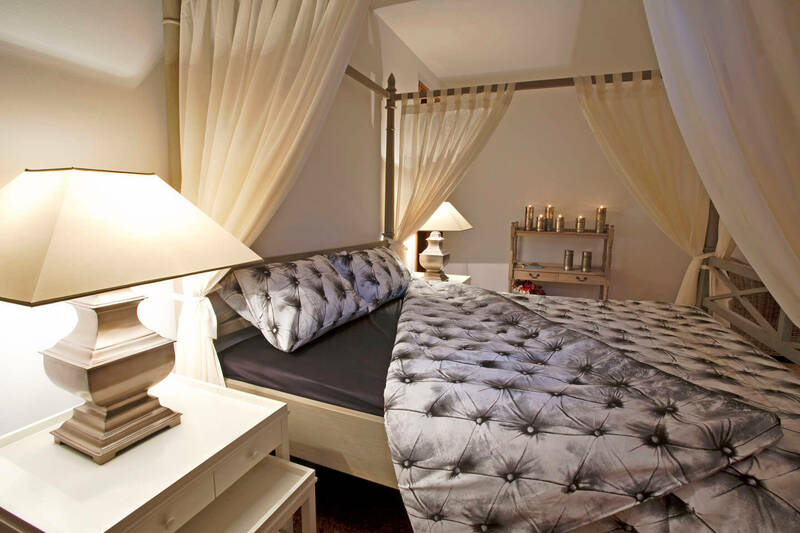 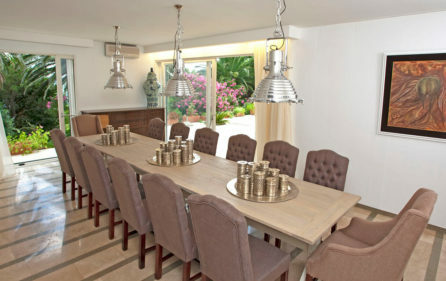 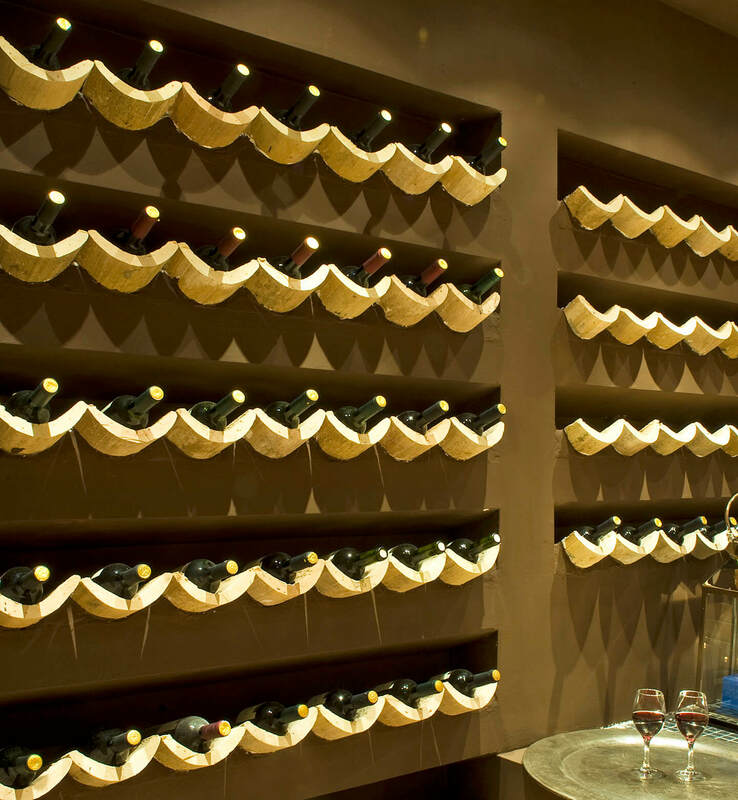 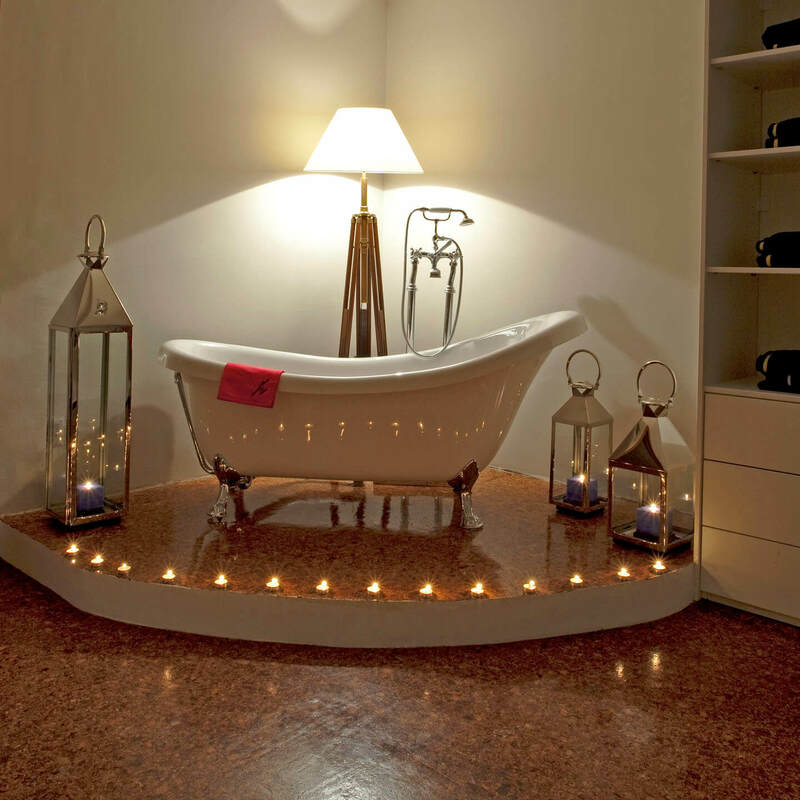 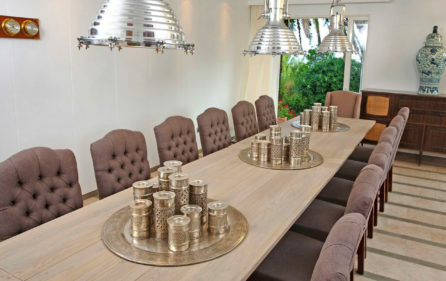 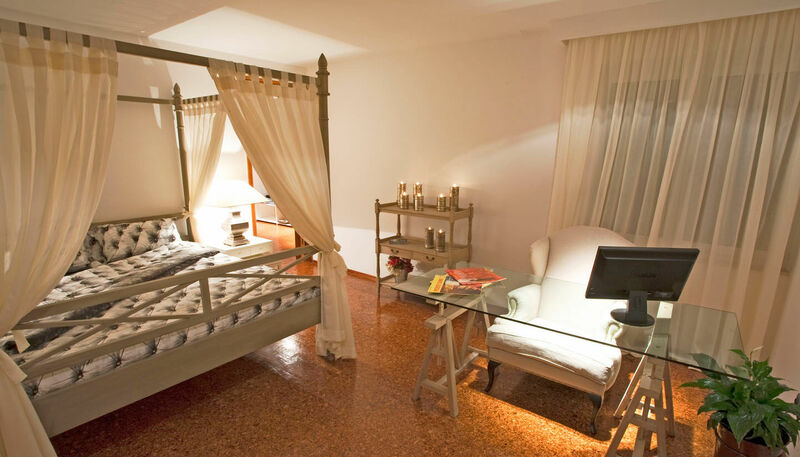 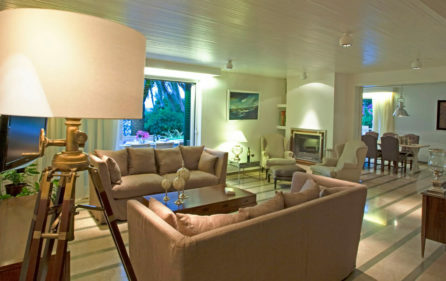 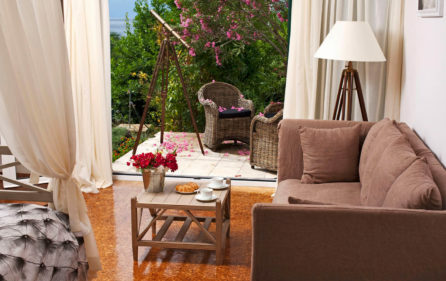 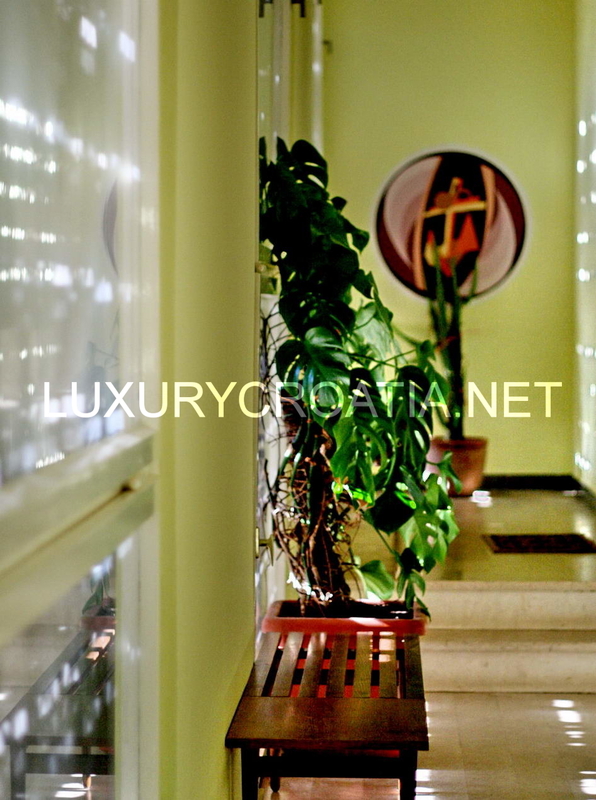 Villa consists of 8 large bedrooms and 8 bathrooms, with an additional 2 toilets and can accommodate 12 persons. 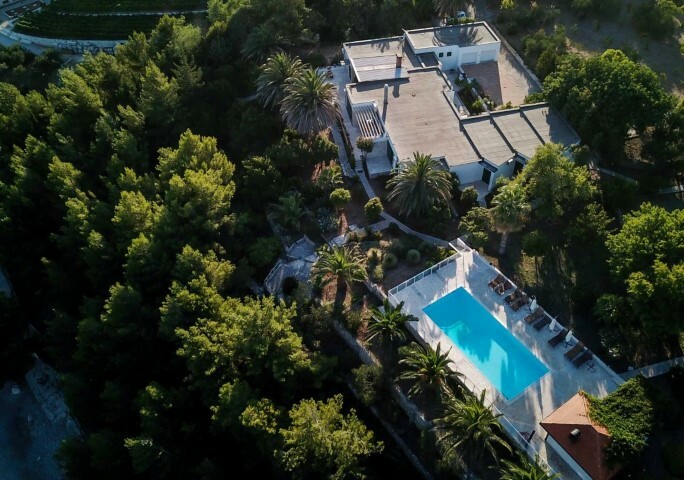 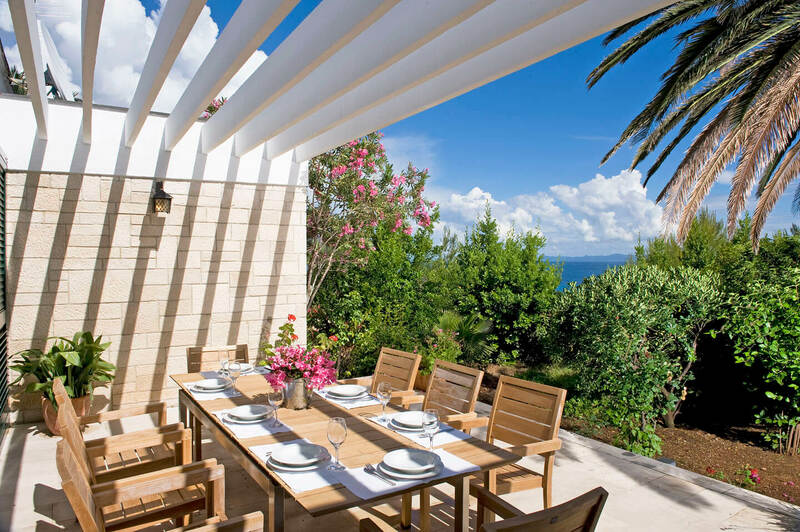 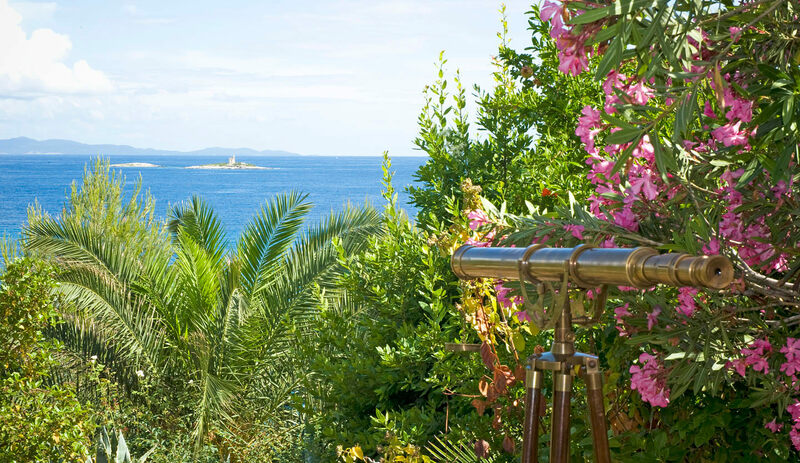 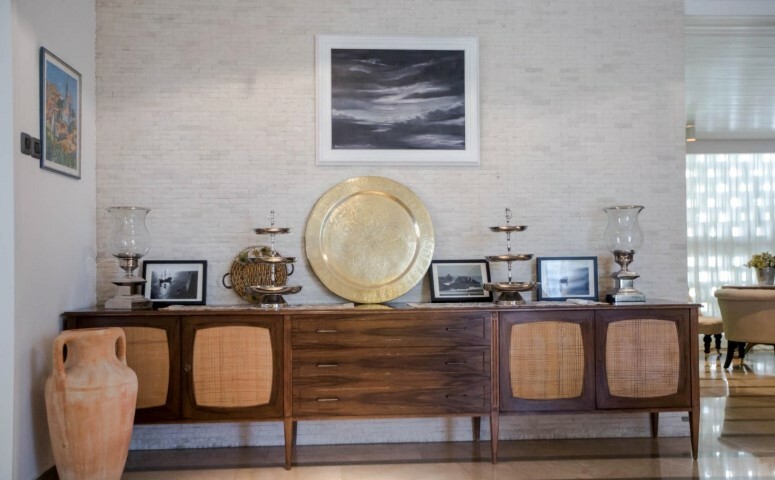 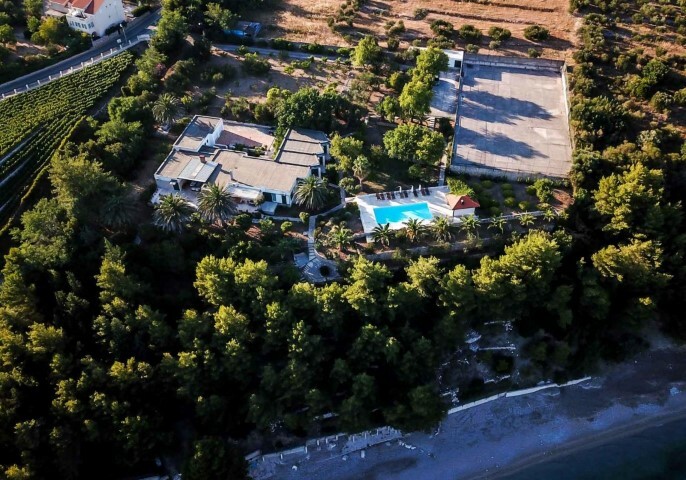 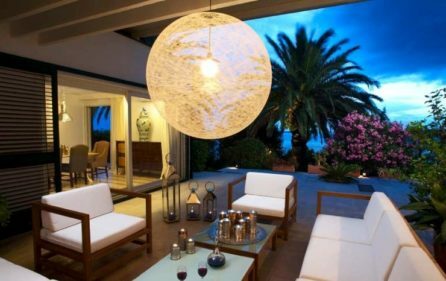 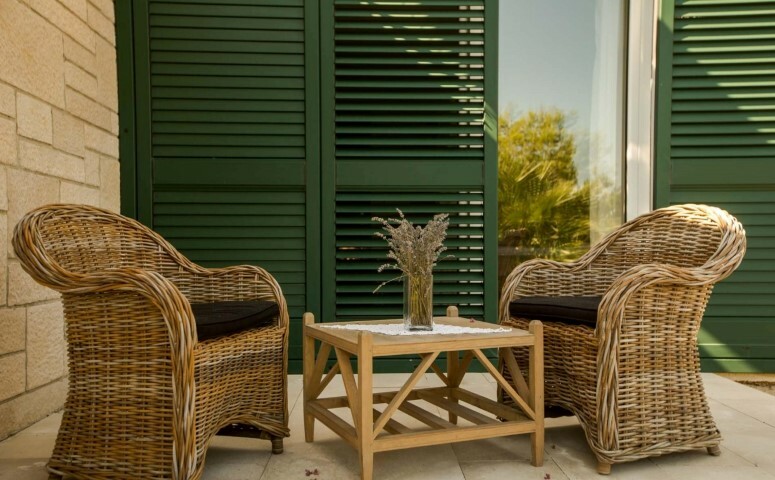 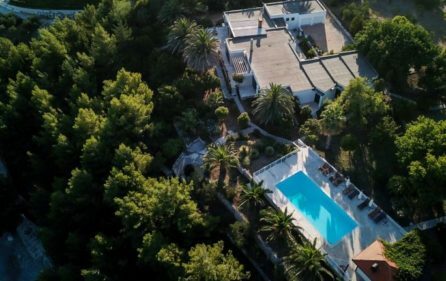 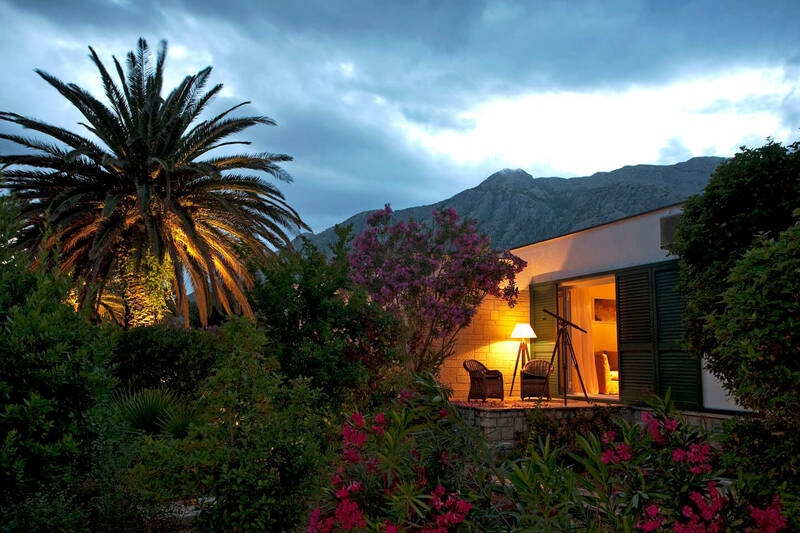 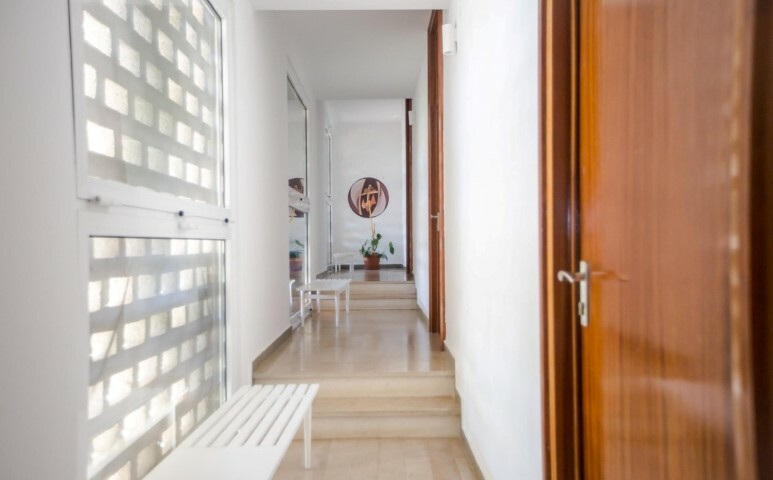 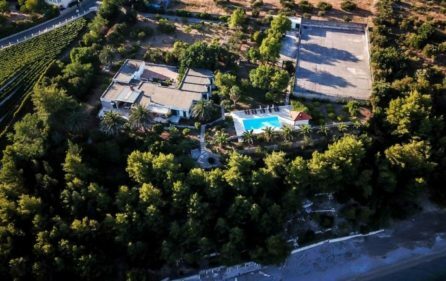 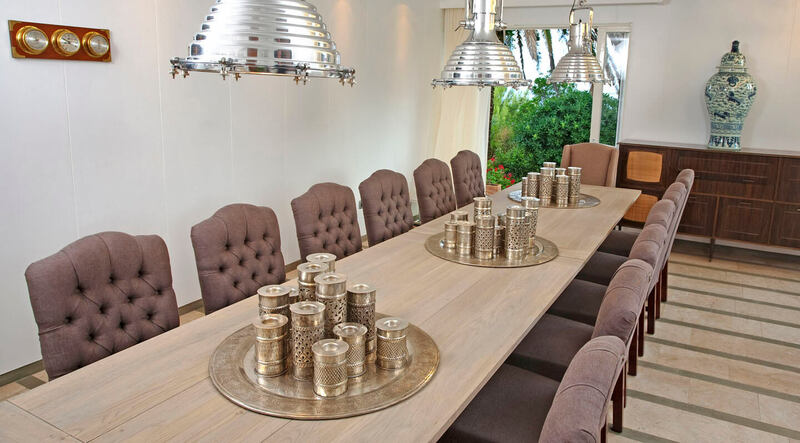 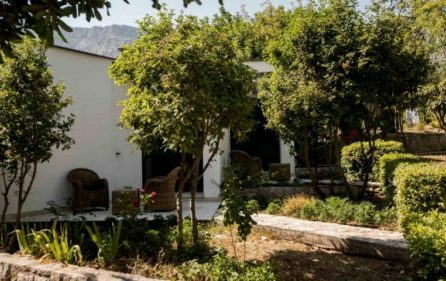 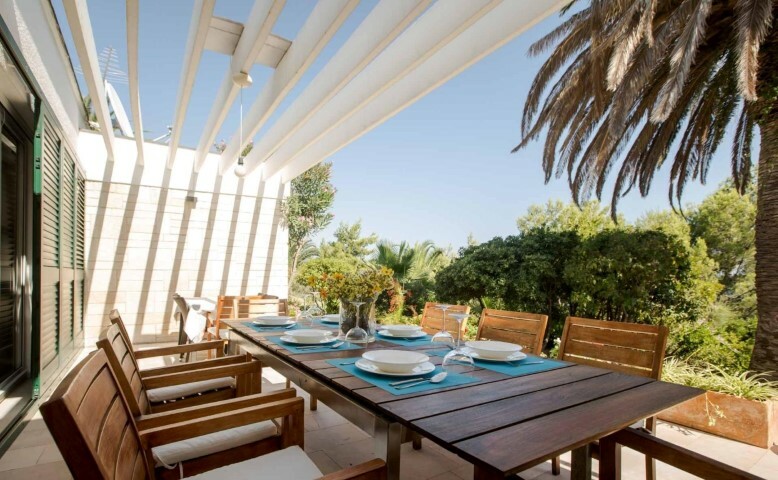 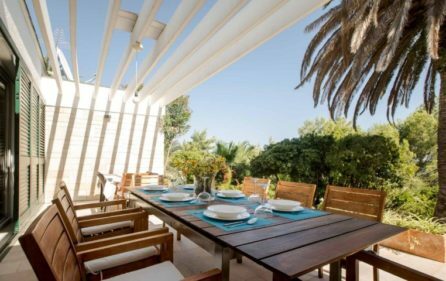 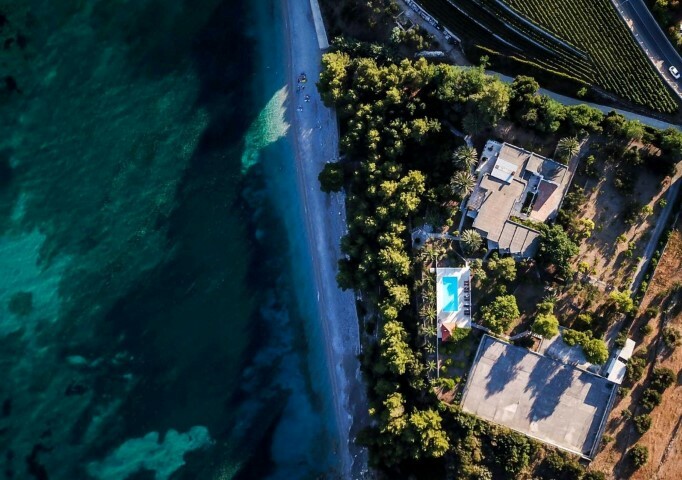 Villa is fully equipped and offers a perfect, relaxing vacation on 12 000 square meters of land, surrounded by beautiful greenery, palm, olive and fig trees that create a perfect, typical Mediterranean ambiance. 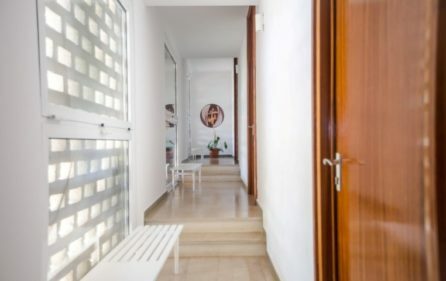 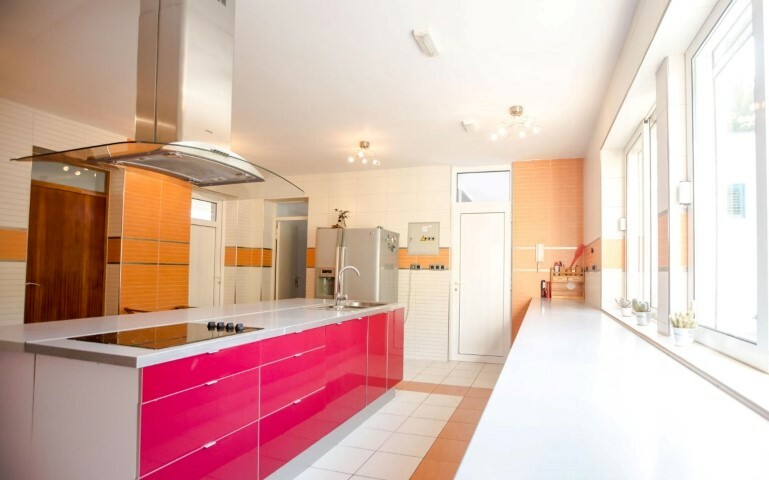 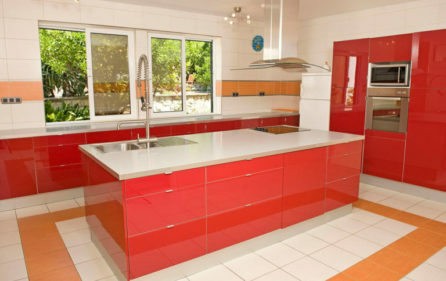 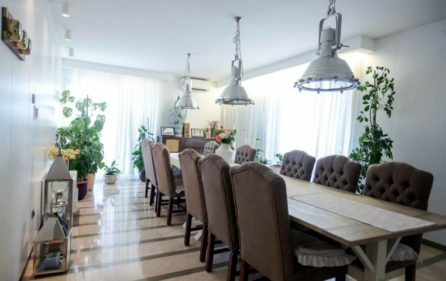 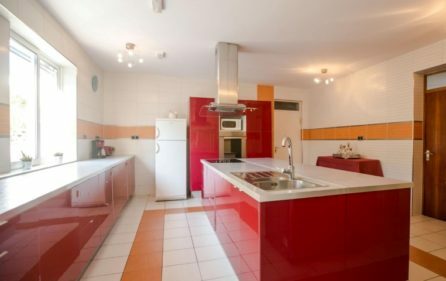 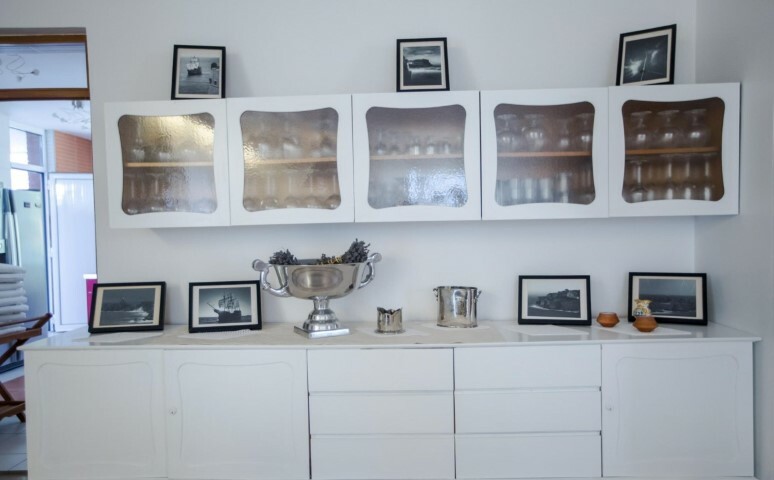 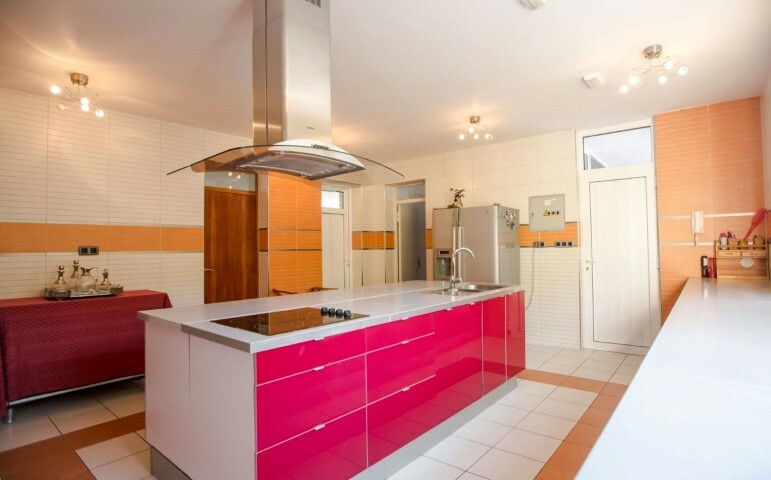 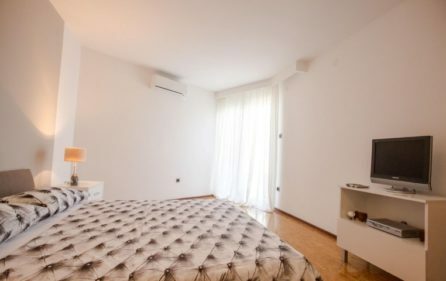 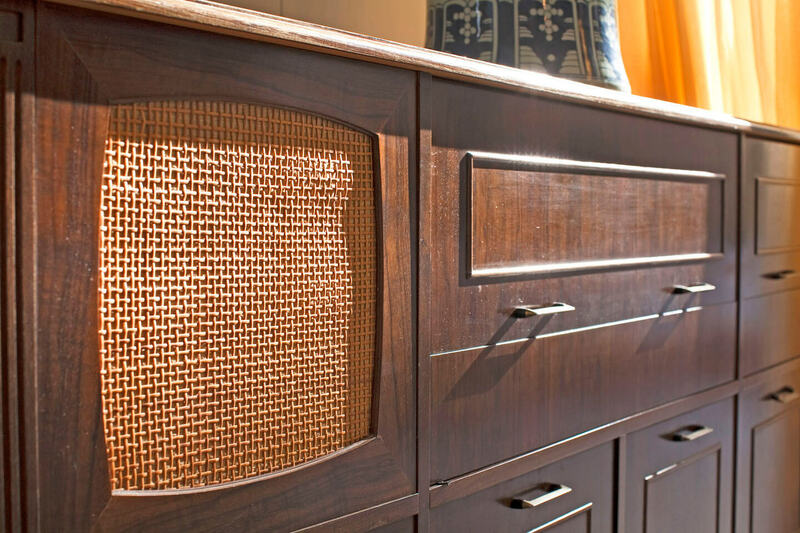 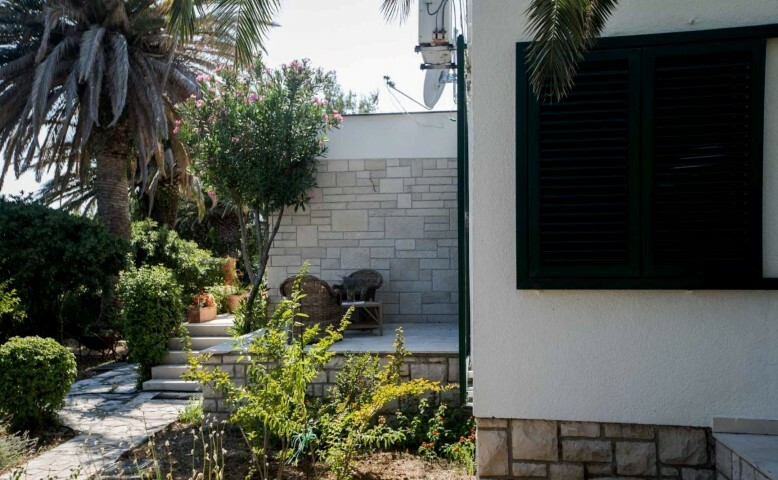 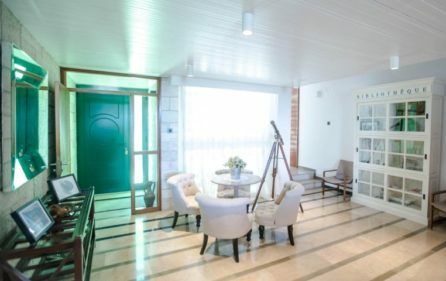 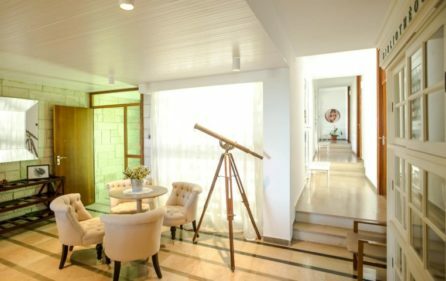 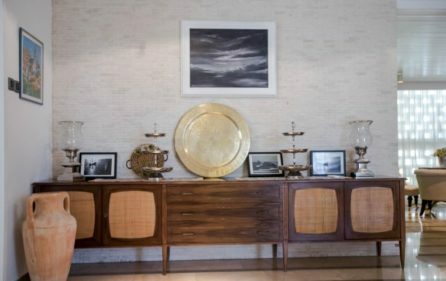 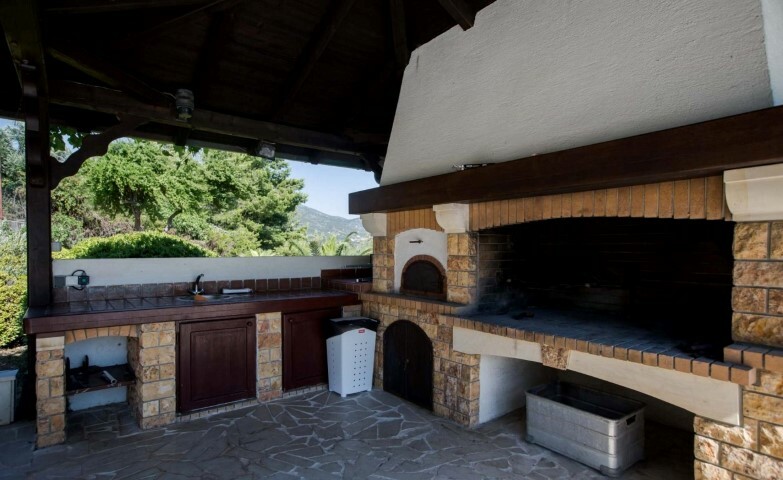 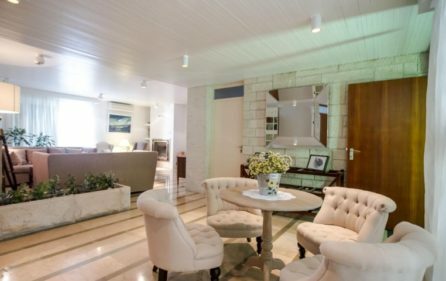 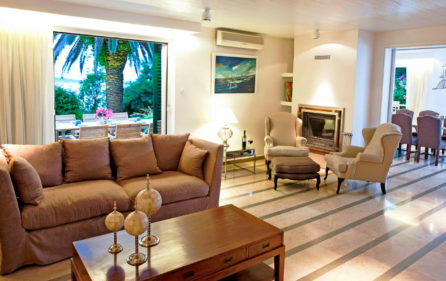 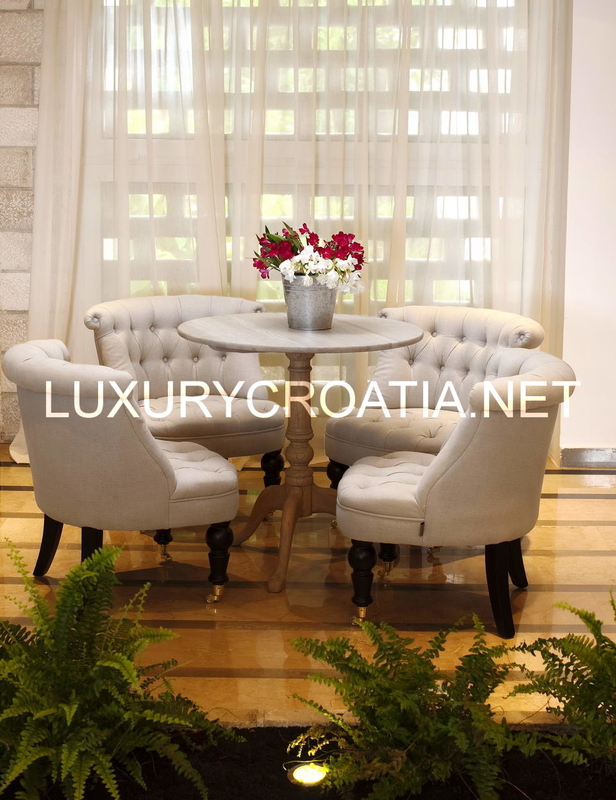 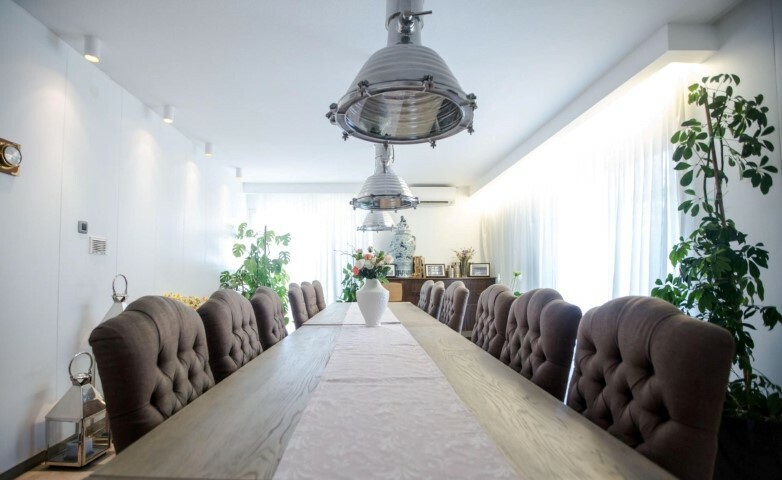 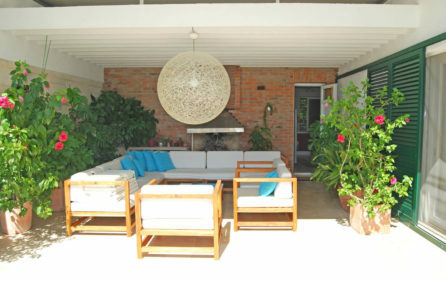 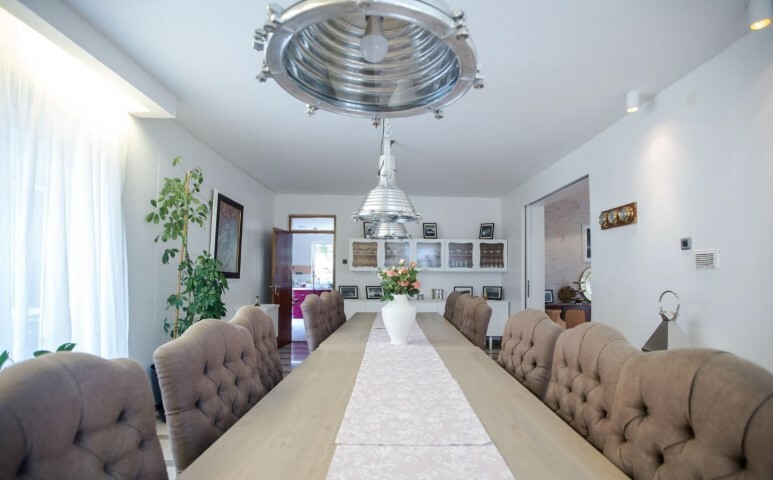 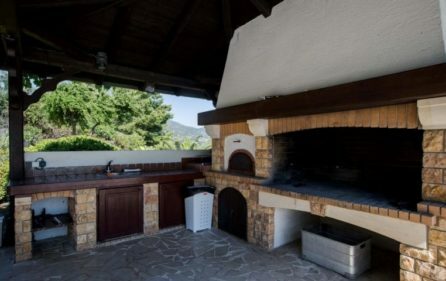 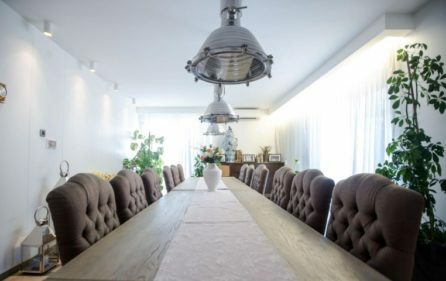 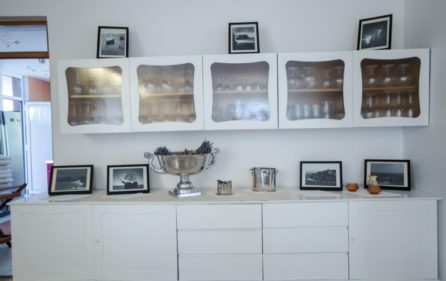 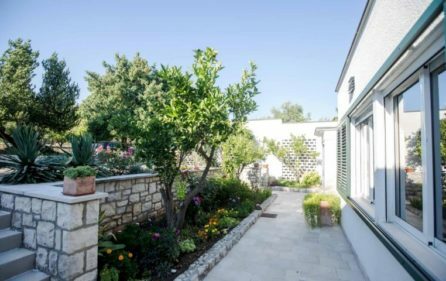 In the main part of the villa there is a large kitchen equipped with all the modern appliances (stove oven, microwave, refrigerator, ice maker, range hood, 2 grills, and a dishwasher), a cozy living room with fireplace and dining room with a table large enough to accept 12 people eating together. 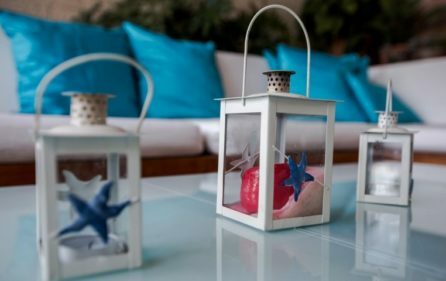 From the beautiful sea view terraces, guests can enjoy the benefits of the refreshing sea breeze from the beach, only a few meters away. On the left side of the villa’s main part, there are 2 air-conditioned double bedrooms, all equipped with Satellite TV and a mini bar. 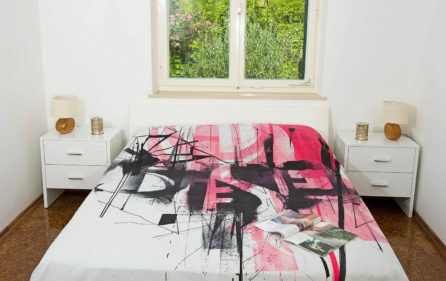 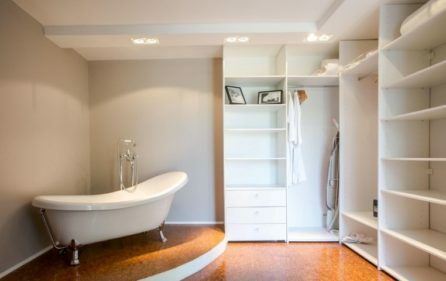 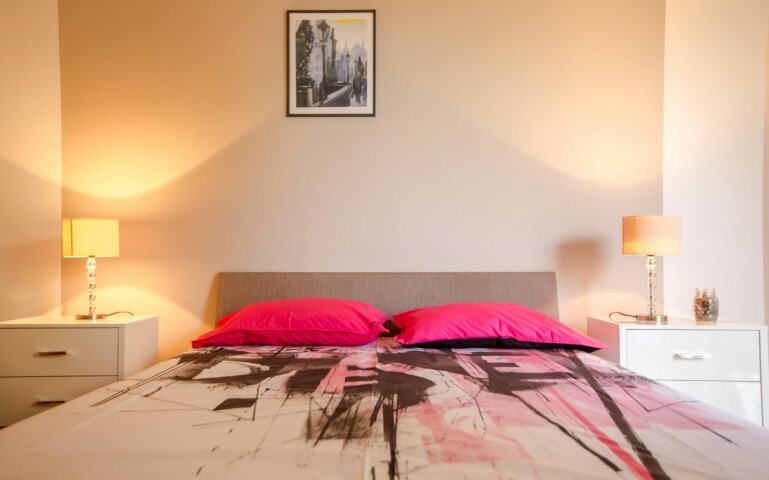 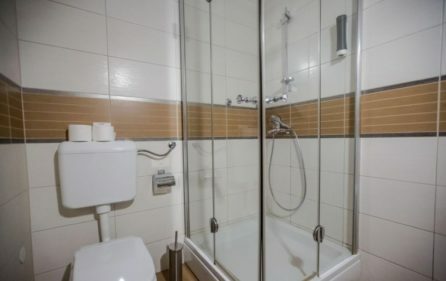 Two of these bedrooms feature its own bathroom with shower. 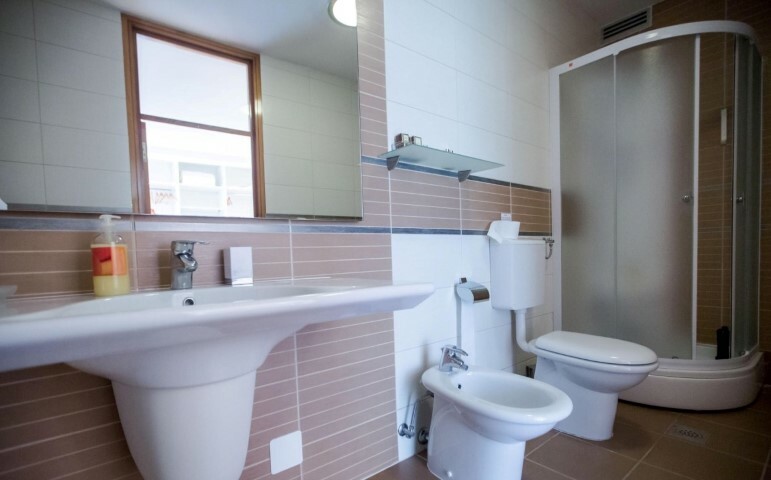 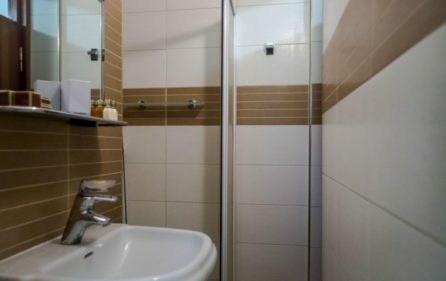 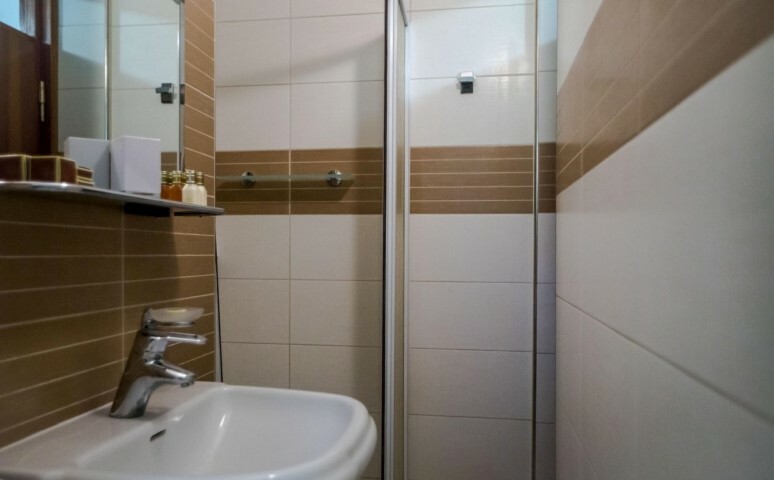 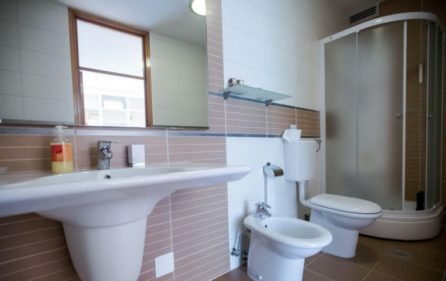 Other two bedrooms share a bathroom. 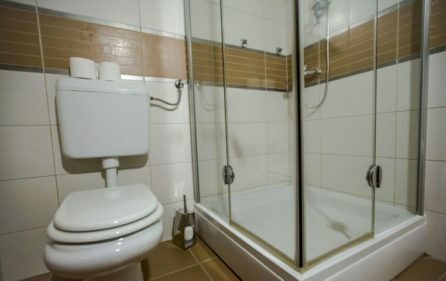 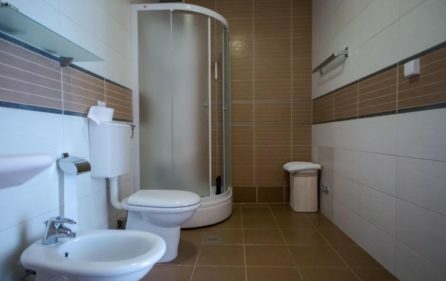 Each bathroom offers a hairdryer. 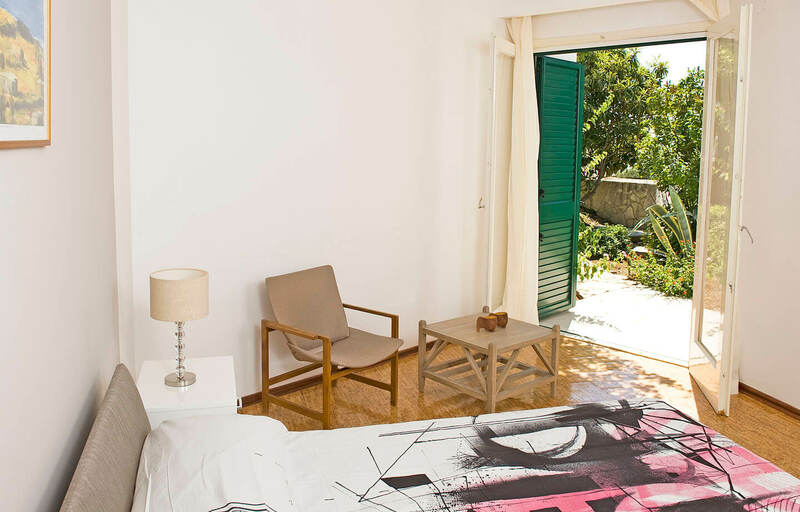 The right side of the villa features 4 air-conditioned double bedrooms, one of which is a master bedroom with two sea view terraces equipped with sitting furniture to relax and enjoy the fresh air in complete privacy. 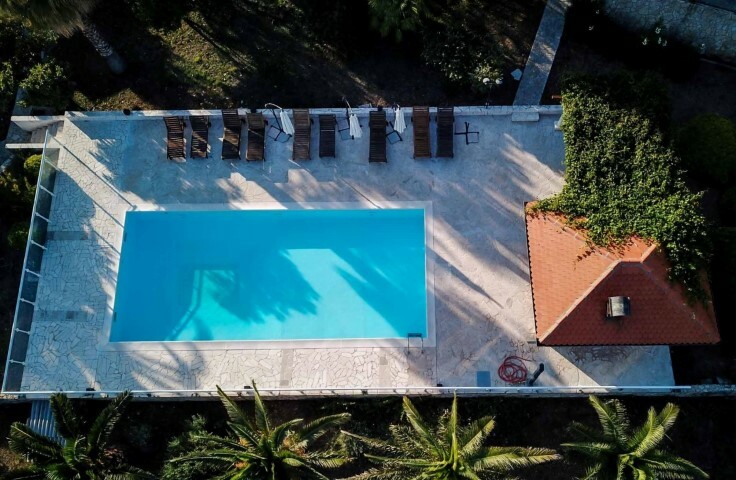 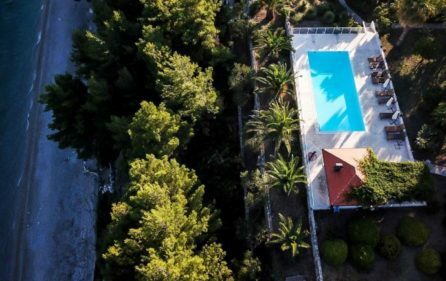 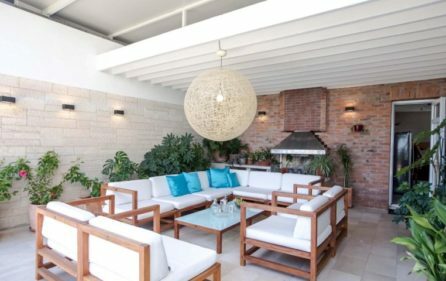 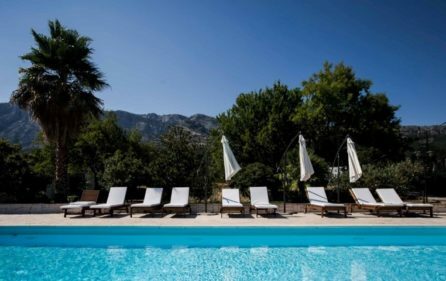 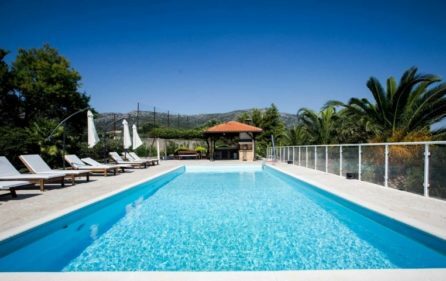 A large, private swimming pool is set in the beautiful elevated area outside the villa with sun beds, outdoor living area with coffee table and chairs, perfect for enjoying the shade with a cup of coffee in the morning or a refreshing cocktail in the evening. 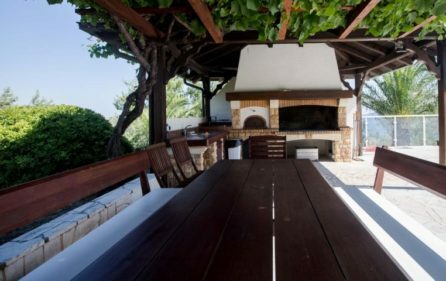 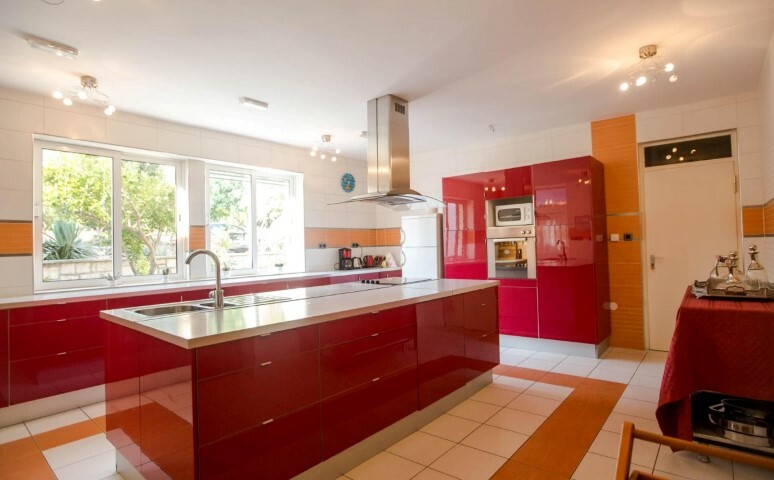 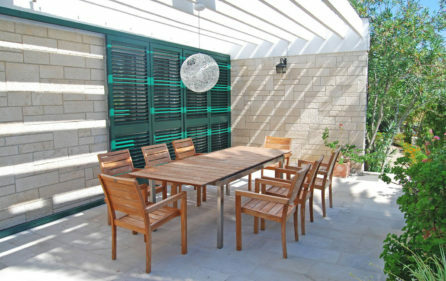 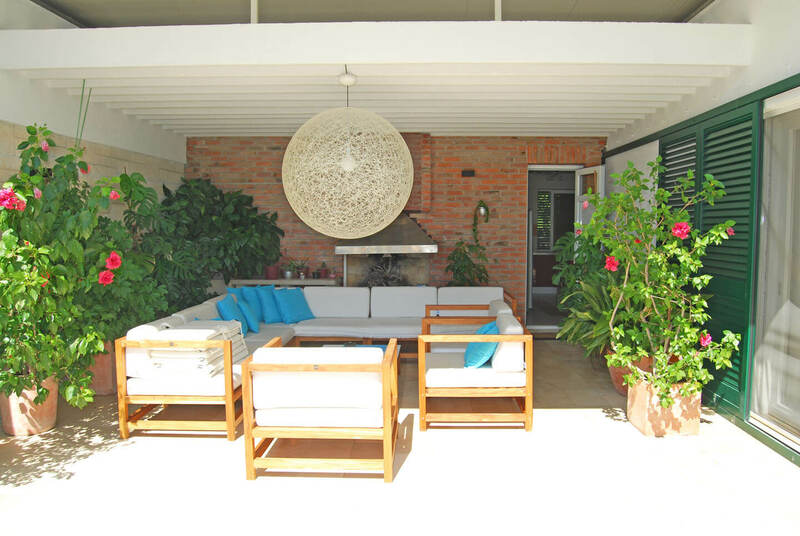 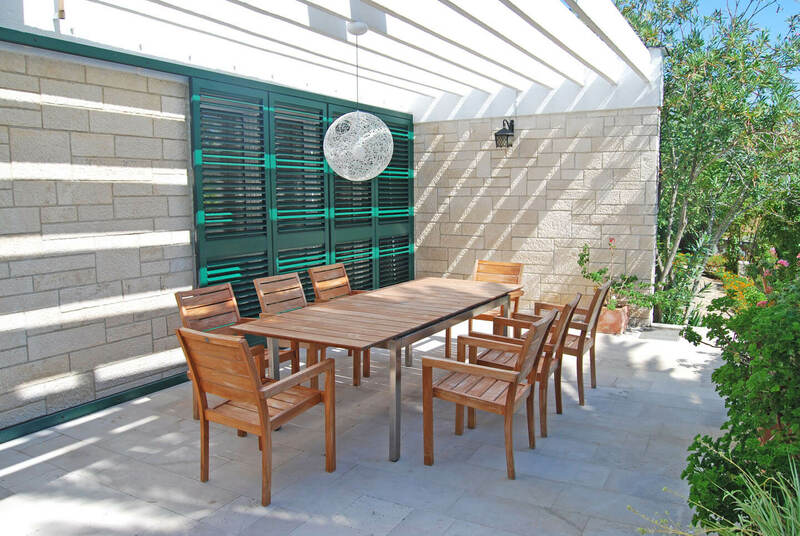 There is also a summer kitchen with a bar and outdoor dining table. 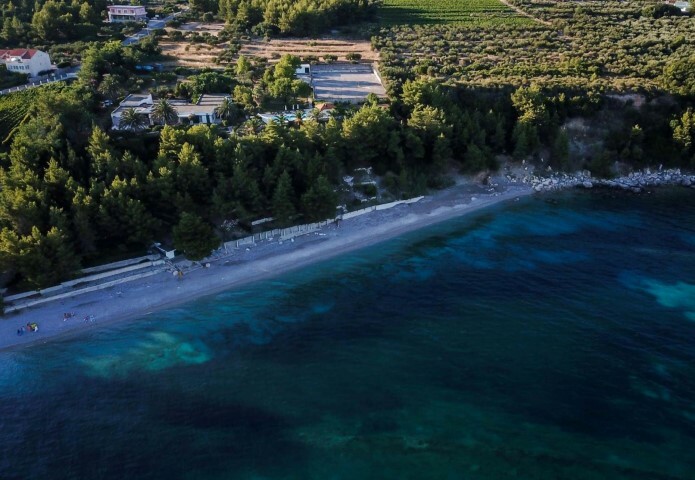 Wonderful, pebble beach is only a few meters away. 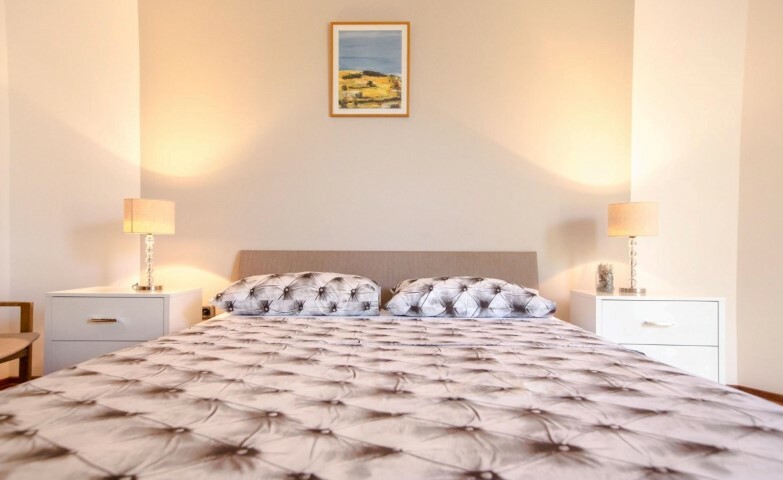 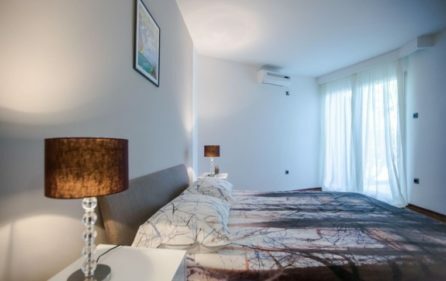 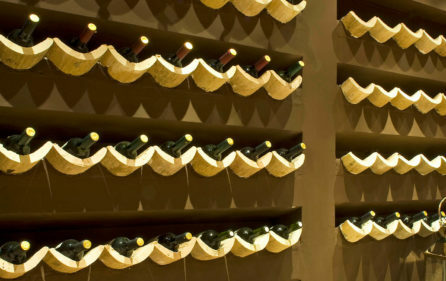 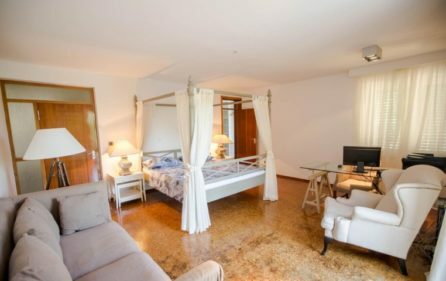 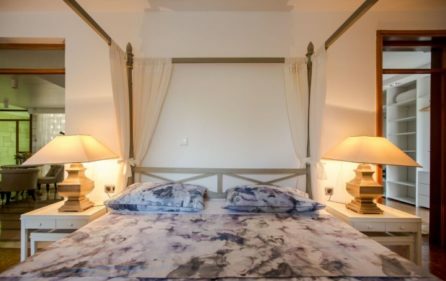 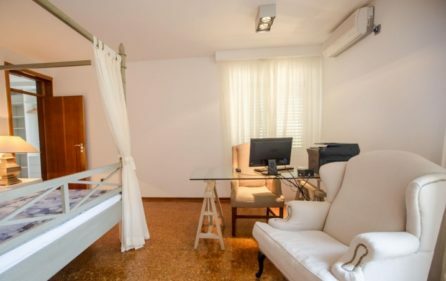 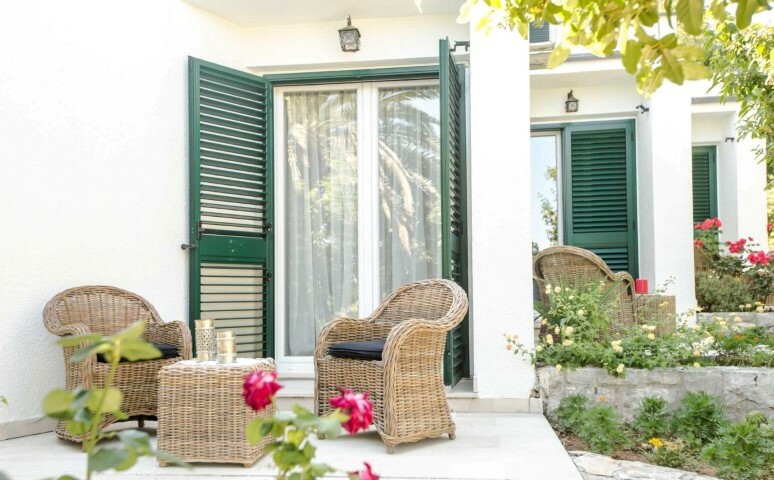 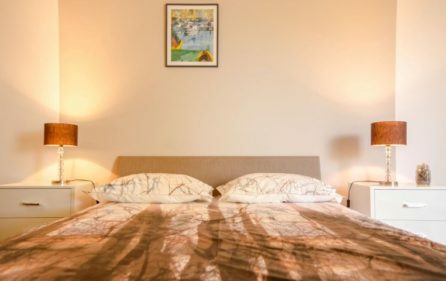 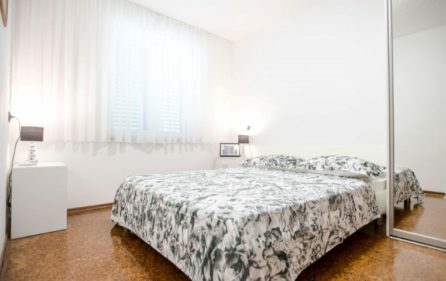 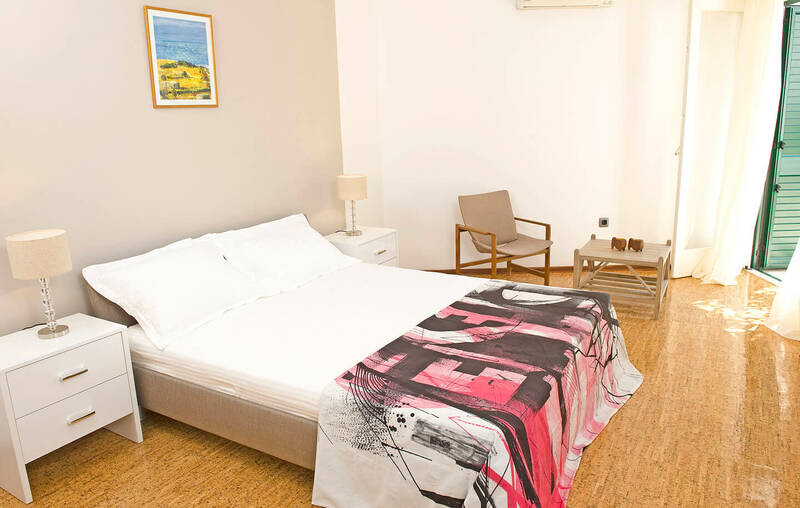 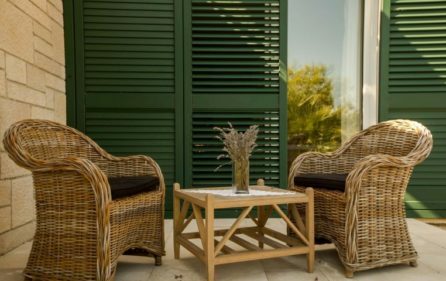 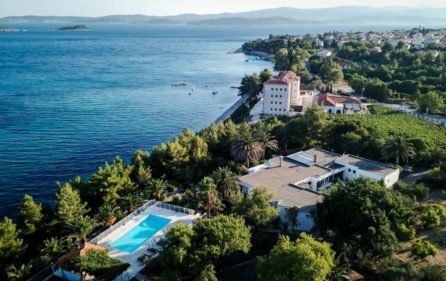 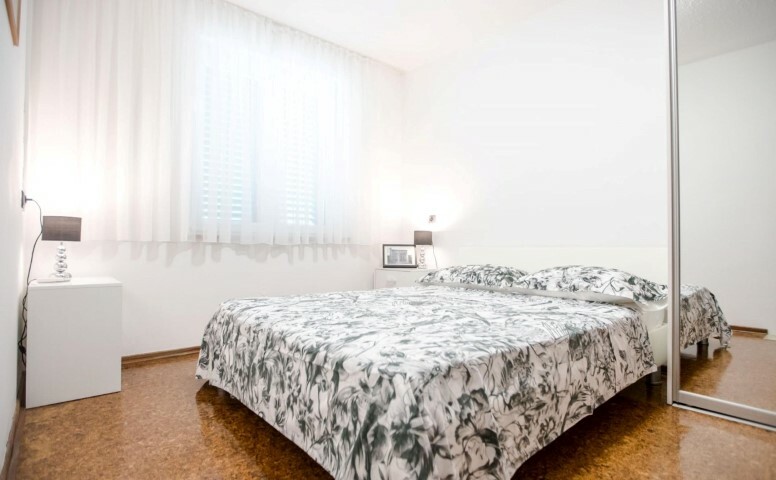 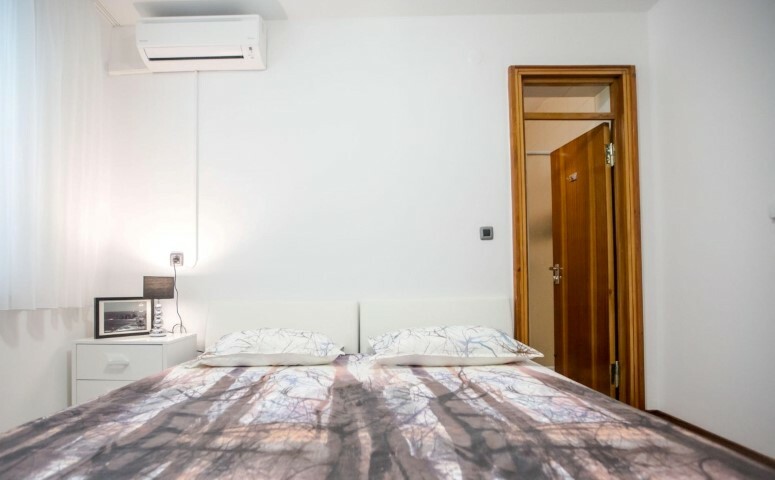 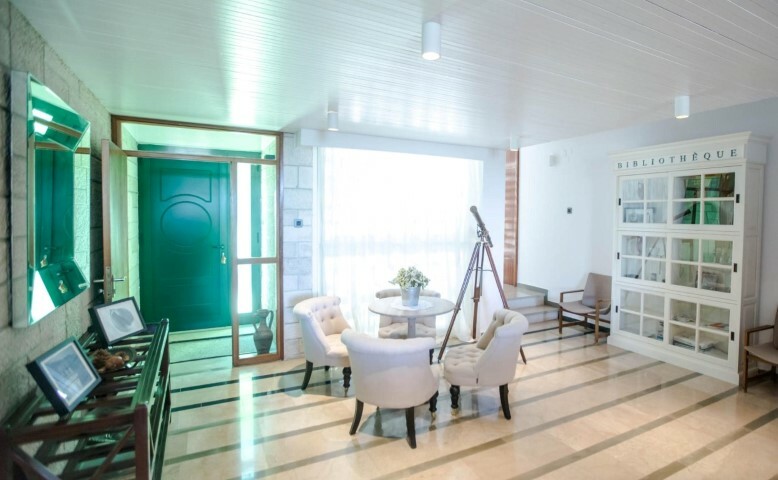 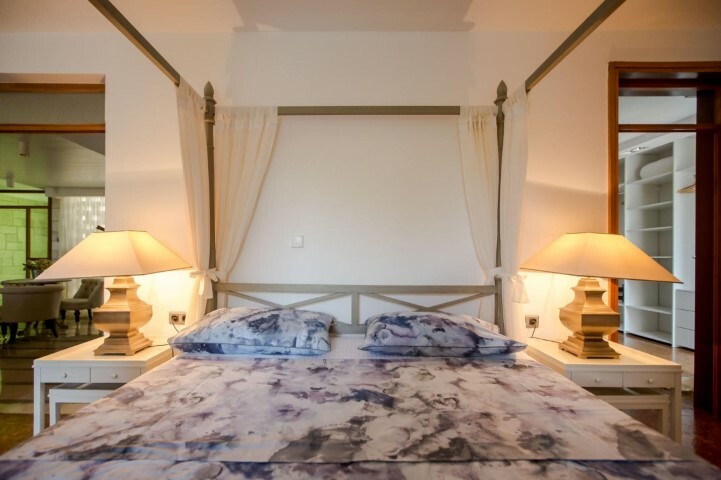 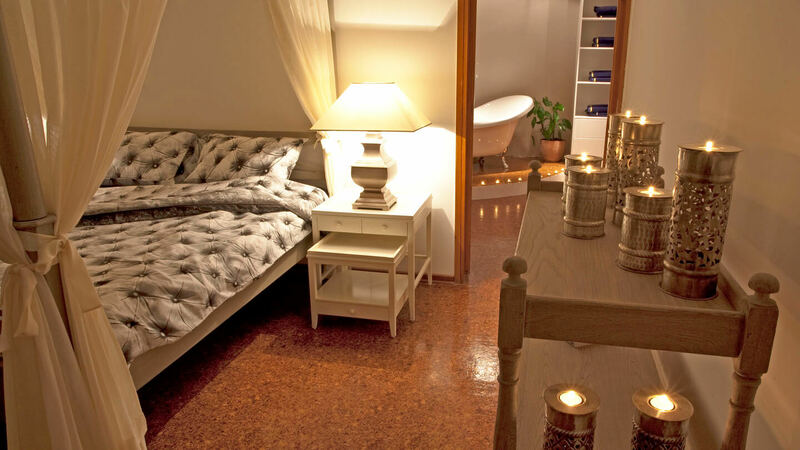 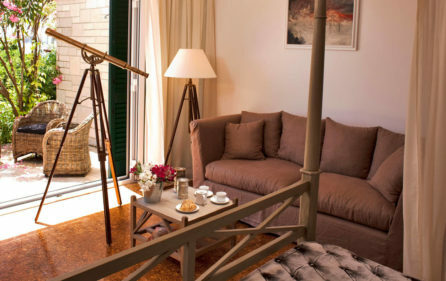 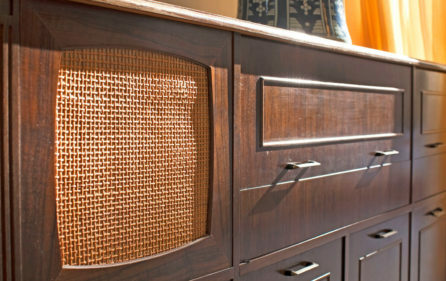 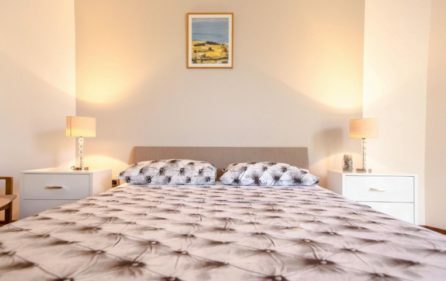 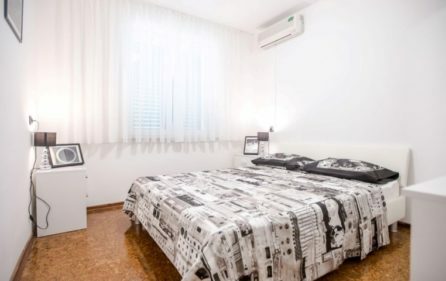 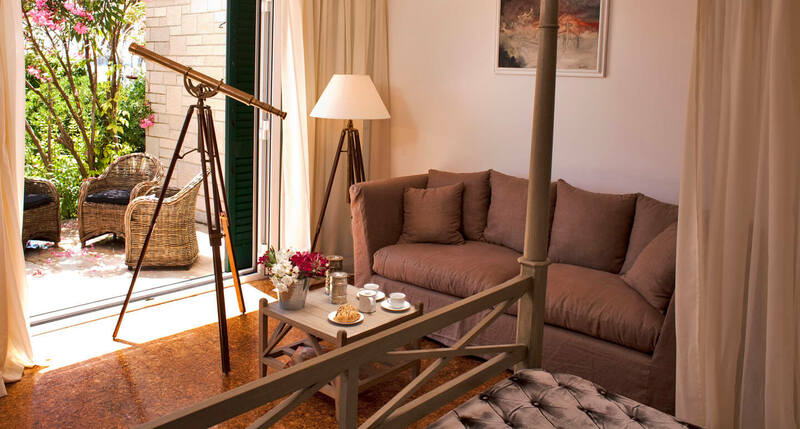 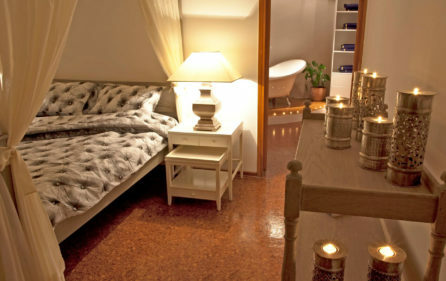 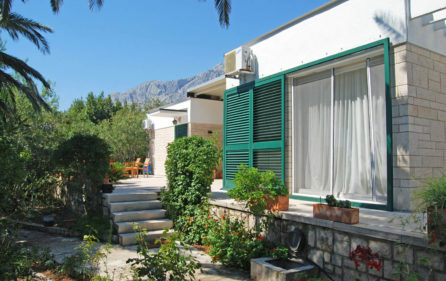 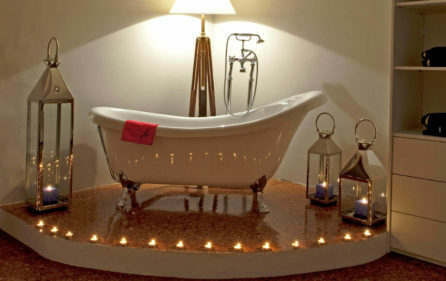 Other extra features of the villa are private parking for 5 cars, computer in one of the bedrooms and free unlimited wi-fi, baby cot and high chair, wine cellar, laundry, and ironing service. There is also a full-size football pitch and barbecue area available for the guests. If you are interested in our daily excursions, you can find more information here.